Under the current H-2 program overseen by the U.S. Department of Labor (DOL), employers brought about 106,000 guestworkers into this country in 2011 — approximately 55,000 for agricultural work and another 51,000 for jobs in forestry, seafood processing, landscaping, construction and other non-agricultural industries. But far from being treated like “guests,” these workers are systematically exploited and abused. Unlike U.S. citizens, guestworkers do not enjoy the most fundamental protection of a competitive labor market — the ability to change jobs if they are mistreated. Instead, they are bound to the employers who “import” them. If guestworkers complain about abuses, they face deportation, blacklisting or other retaliation. Denied medical benefits for on-the-job injuries. Congressman Rangel’s conclusion is not mere hyperbole nor the first time such a comparison has been made. Former DOL official Lee G. Williams described the old “bracero” program — an earlier version of the guestworker program that brought thousands of Mexican nationals to work in the United States during and after World War II — as a system of “legalized slavery. 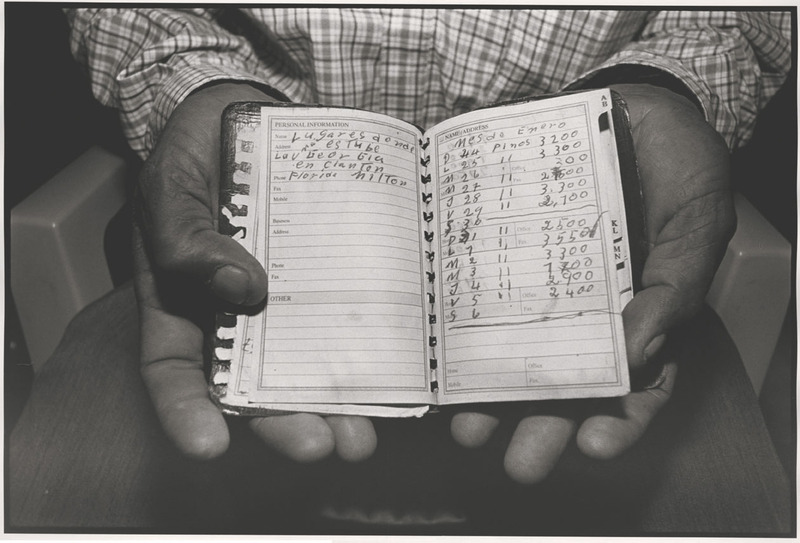 On paper, the bracero program had many significant written legal protections, providing workers with what historian Cindy Hahamovitch, an expert on guestworker programs, has called “the most comprehensive farm labor contract in the history of American agriculture. Nevertheless, the bracero workers were systematically lied to, cheated and “shamefully neglected. In practice, there is little difference between the bracero program of yesterday and today’s H-2 guestworker program. Federal law and DOL regulations provide a few protections to H-2 guestworkers, but they exist mainly on paper. Government enforcement of guestworker rights is historically very weak. Private attorneys typically won’t take up their cause. And non-agricultural workers in the program are not eligible for federally funded legal services. The H-2 guestworker system also can be viewed as a modern-day system of indentured servitude. But unlike European indentured servants of old, today’s guestworkers have no prospect of becoming U.S. citizens. When their temporary work visas expire, they must leave the United States. They are, in effect, the disposable workers of the U.S. economy. U.S. workers suffer as a result of these flaws in the guestworker system. As long as employers in low-wage industries can rely on an endless stream of vulnerable guestworkers who lack basic labor protections, they will have little incentive to hire U.S. workers or make jobs more appealing to domestic workers by improving wages and working conditions. Not surprisingly, many H-2 employers discriminate against U.S. workers, preferring to hire guestworkers, even though they are required to certify that no domestic workers are available to fill their jobs. In addition, it is well-documented that wages for U.S. workers are depressed in industries that rely heavily on guestworkers. This report is based on interviews with thousands of guestworkers, a review of the research on guestworker programs, scores of legal cases and the experiences of legal experts from around the country. The abuses described here are too common to blame on a few “bad apple” employers. They are the foreseeable outcomes of a system that treats foreign workers as commodities to be imported as needed without affording them adequate legal safeguards, the protections of the free market, or the opportunity to become full members of society. When the Southern Poverty Law Center published the first version of this report in 2007, we recommended reform or repeal of the H-2 program. Unfortunately, even after the enactment of modest reforms in recent years, guestworker programs today are still inherently abusive and unfair to both U.S. and foreign workers. In the past several years, the DOL has proposed two sets of regulations to better protect non-agricultural H-2 workers – one related to wage rate guarantees and one more comprehensive set of regulations. These regulations also would better protect the jobs and wages of U.S. workers. Unfortunately for workers, neither set of regulations has gone into effect; employers have filed multiple lawsuits challenging them, and Congress has effectively blocked implementation of the new wage regulations. For workers, then, the abuses continue unabated. It is virtually impossible to create a guestworker program for low-wage workers that does not involve systemic abuse. The H-2 guestworker program should not be expanded in the name of immigration reform and should not be the model for the future flow of workers to this country. If the current H-2 program is allowed to continue, it should be completely overhauled. Recommendations for doing so appear at the end of this report. Foreign-born workers have been significant contributors to the U.S. economy for centuries. From the early 1800s until the outbreak of World War I, millions of European immigrants — Irish, British, Germans, Italians, Scandinavians, Russians, Hungarians and others — arrived in the United States, and their labor helped fuel the country’s economic and geographic expansion. For most of this period, under the Naturalization Act of 1790, the borders were open and there were no numerical limits on immigration. The first major attempt to regulate or stem the flow of these workers came in 1882, when Congress passed the Chinese Exclusion Act to ban the employment of Chinese laborers. During the latter half of the 1800s, following the end of the Mexican-American War in 1848, tens of thousands of migrant workers from Mexico began arriving. Unlike their European and Asian counterparts, they were able to move freely across the border to temporary jobs in ranching, farming, mining and other industries, and then, in many cases, back home again. The establishment of the U.S. Border Patrol in 1924 made access to jobs in the United States more difficult for Mexican workers, however, and for the first time they were seen as “illegal aliens.” But there remained no numerical limits on legal immigration from Mexico until 1965. World War I brought migration from Europe largely to a halt and created a greater demand for Mexican labor. Soon afterward, the Great Depression arrived and Mexican workers were seen as a threat to American jobs. More than 500,000 people, including some United States citizens, were forcibly deported. The onset of World War II created another labor shortage, and Mexican workers were again called upon to fill the void. Labor organizers in the 1950s exposed widespread abuses of migrant farmworkers. In 1942, the U.S. State Department reached a bilateral agreement with Mexico creating the bracero program, which Congress later approved. To assuage critics, proponents of the program asserted that Mexicans, who had been deported en masse just a few years earlier, were easily returnable. This program was designed initially to bring in a few hundred experienced laborers to harvest sugar beets in California. Although it started as a small program, at its peak it drew more than 400,000 workers a year across the border. A total of about 4.5 million jobs had been filled by Mexican citizens by the time the bracero program was abolished in 1964. Transportation costs were to be shared by the workers, the growers and the government. But the bracero program did not look so rosy in practice. Mexican workers, who generally did not read English, were often unaware of contractual guarantees. And there were numerous reports of employers shortchanging workers — just as in today’s H-2 guestworker program. The Mexican workers, who were called braceros, also had 10% of their pay withheld, ostensibly to pay for a Social Security-type pension plan. The money was to be deposited into a Mexican bank on behalf of the workers. It was never paid, however. Several lawsuits have been filed to recover what is now estimated to be hundreds of millions of dollars owed to Mexican workers. The availability of braceros undermined the ability of U.S. workers to demand higher wages. During the 1950s, growers brought in braceros when their U.S. workers either went on strike or merely threatened to do so. In the late 1950s and early 1960s, Cesar Chavez mounted farmworker protests over the program and later said that organizing the United Farm Workers would have been impossible had the bracero program not been abolished in 1964. The grape strike in which the union was born, in fact, began the following year. The bracero program is now widely believed to have contributed greatly to patterns of unauthorized immigration to the United States from Mexico. After the bracero program was dismantled in 1964, foreign workers could still be imported for agricultural work under the H-2 sections of the Immigration and Nationality Act. 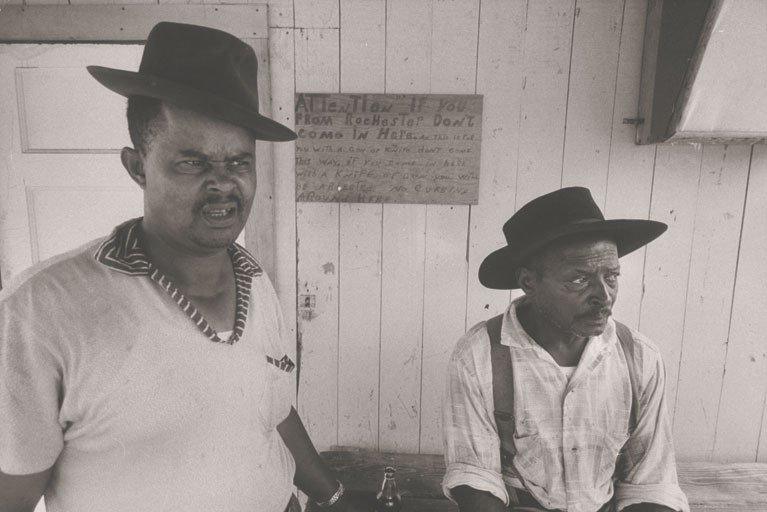 The H-2 program had been created in 1943 when the Florida sugar cane industry obtained permission to hire Caribbean workers to cut sugar cane on temporary visas. The appalling conditions experienced by sugar cane cutters have been well-documented. In one well-publicized incident, on November 21, 1986, Caribbean H-2 sugar cane cutters stopped work on a large sugar plantation in south Florida, objecting to the work conditions. Workers reported that the company had tried to pay a rate lower than what was promised in the work contract, and more than 300 workers refused to go to work as a result. The company called in the police, who used guns and dogs to force workers onto buses, on which they were removed from the camp and deported. This incident became known as the “dog war.” It has come to symbolize for many people the potential for extreme abuse in a guestworker program that permits employers to control the worker’s right to remain in the United States. The H-2 program was revised in 1986 as part of the Immigration Reform and Control Act, which divided it into the H-2A agricultural program and the H-2B non-agricultural program. There are no annual numerical limits on H-2A visas. The annual limit on H-2B visas is currently 66,000. In 2011, the last year for which data are available, the United States issued about 55,000 H-2A visas and about 51,000 H-2B visas. The countries sending the most workers to the United States under these programs were Mexico, Jamaica and Guatemala; about 80% are Mexican. As will be shown in this report, this current guestworker system is plagued by some of the same problems as the discredited bracero program. The United States currently has two guestworker programs under which employers are authorized to import unskilled labor for temporary or seasonal work lasting less than a year: the H-2A program for agricultural work and the H-2B program for non-agricultural work. Although the H-2A and H-2B programs offer different terms and benefits, they are similar in one significant way: Both programs permit the guestworker to work only for the employer who petitioned the Department of Labor (DOL) for his or her services. If the work situation is abusive or not what was promised, the worker has little or no recourse other than to go home. That puts the worker at a distinct disadvantage in terms of future opportunities in the United States, because his ability to return during any subsequent season depends entirely on an employer’s willingness to submit a request to the U.S. government. In practical terms, it means that an employee is much less likely to complain about wage violations or other abuses. The wages and working conditions of workers in the United States similarly employed will not be “adversely affected” by the importation of guestworkers. The H-2 visas used by guestworkers are for individuals only and generally do not permit them to bring their families to the United States. This means that guestworkers are separated from their families, including their minor children, for periods often lasting nearly a year. 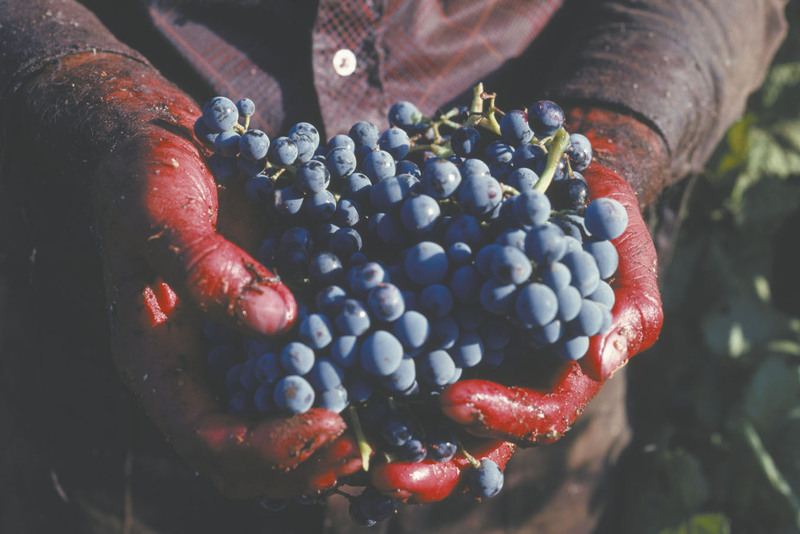 The H-2A program provides significant legal protections for foreign farmworkers. Many of these safeguards are similar to those that existed under the widely discredited bracero program, which operated from 1942 until it was discontinued amid human rights abuses in 1964. Unfortunately, far too many of the protections — as in the bracero program — exist only on paper. 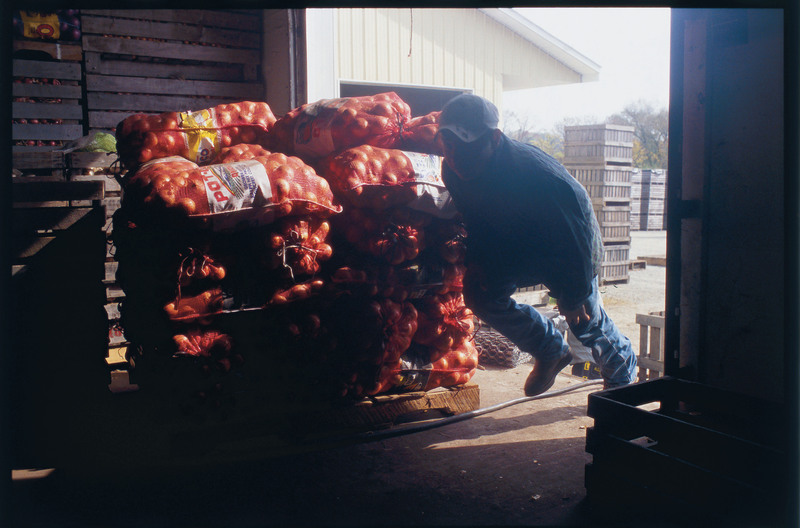 Federal law and DOL regulations contain several provisions that are meant to protect H-2A workers from exploitation as well as to ensure that U.S. workers are shielded from the potential adverse impacts, such as the downward pressure on wages, associated with the hiring of temporary foreign workers. Be eligible for federally funded legal services for matters related to their employment as H-2A workers. To protect U.S. workers in competition with H-2A workers, employers must abide by what is known as the “fifty percent rule.” This rule specifies that an H-2A employer must hire any qualified U.S. worker who applies for a job prior to the beginning of the second half of the season for which foreign workers are hired. The fundamental legal protections afforded to H-2A workers do not apply to guestworkers under the H-2B program. The protections afforded to H-2B workers are not as robust as those provided — at least on paper — to H-2A workers. The DOL has attempted to improve these protections in recent years, but its efforts have been consistently blocked by employers and Congress. For the first time, the DOL enacted substantive regulations that provide some minimal labor protections for H-2B workers in 2008. These regulations require employers to recruit U.S. workers before importing temporary workers, pay H-2B workers the prevailing wage rate, and offer H-2B workers a “full-time” job opportunity. Nevertheless, the 2008 regulations lack many of the fundamental legal protections afforded to H-2A workers, such as reimbursement of the workers’ transportation costs to the United States and the “three-quarters guarantee.” The 2008 regulations also provide for a methodology of establishing the H-2B wage rate that the DOL has determined has a depressive effect on U.S. worker wages. The DOL proposed a new wage regulation in 2011 and new comprehensive H-2B regulations in 2012 that include stronger protections for U.S. and H-2B workers. The 2012 regulations would require employers to engage in more aggressive recruitment of U.S. workers and to treat U.S. and H-2B workers who are similarly employed equally. Would be expressly protected from human trafficking and retaliation. These provisions represent a vast improvement over the existing regulations, but, unfortunately, none of them have ever gone into effect. The DOL’s attempts to implement these increased protections for U.S. and H-2B workers have been met with hostility by employers and members of Congress seeking to maintain the H-2B program as a source of cheap, unregulated labor. Employers, in a series of lawsuits, have asserted that the DOL has no authority to regulate employers’ use of the H-2B program at all. As a result, workers are not currently protected by any of the important regulations that the DOL has recently issued for the H-2B program. Moreover, unlike H-2A workers, H-2B workers are denied access to legal and other basic services and benefits. H-2B workers, aside from those who work in the forestry industry, do not have access to federally funded legal services. 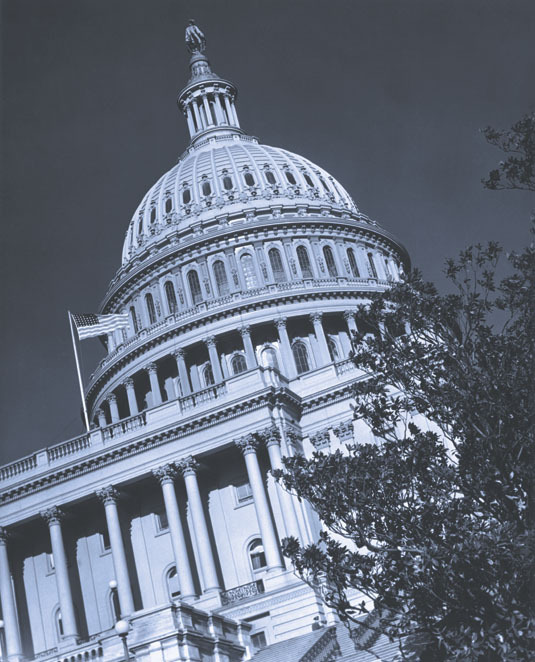 Additionally, none of the current H-2B regulations require employers to provide workers’ compensation or other injury insurance coverage despite high workplace injury rates in industries that rely heavily on H-2B workers. 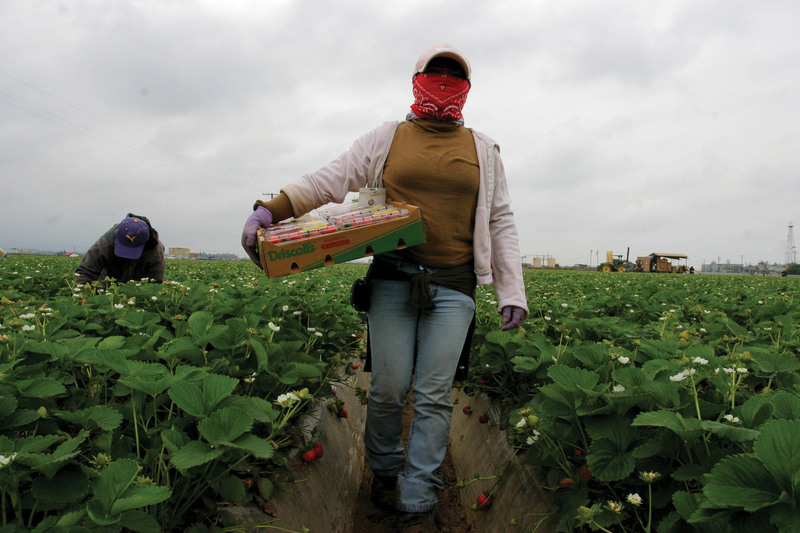 Efforts to protect vulnerable guestworkers from exploitation have been met with hostility by employers seeking to maintain the H-2 program as a source of cheap, unregulated labor. The exploitation of H-2A and H-2B guestworkers commences long before they arrive in the United States. It begins, in fact, with the initial recruitment in their home country — a process that often leaves them in a precarious economic state and therefore extremely vulnerable to abuse by unscrupulous employers in this country. U.S. employers almost universally rely on private individuals or agencies to find and recruit guestworkers in their home countries, mostly in Mexico and Central America. These labor recruiters usually charge fees to the worker — sometimes thousands of dollars — to cover travel, visas and other costs, including profit for the recruiters. The workers, most of whom live in poverty, frequently must obtain high-interest loans to come up with the money to pay the fees. In addition, recruiters sometimes require them to leave collateral, such as the deed to their house or car, to ensure that they fulfill the terms of their individual labor contract. The largely unregulated recruiting business can be quite lucrative. With more than 106,000 such workers recruited in 2011 alone, tens of millions of dollars in recruiting fees are at stake. This financial bonanza provides a powerful incentive for recruiters and agencies to import as many workers as possible — with little or no regard to the impact on individual workers and their families. Overwhelming debt is a chronic problem for guestworkers. Typically, guestworkers arriving in the United States face a fee-related debt ranging from $500 to well over $10,000. Many pay exorbitant interest rates on that debt. When that’s the case, they have virtually no possibility of repaying the debt by performing the work offered by the employer during the term of the contract. Although U.S. laws do provide some obligation for employers to reimburse workers for their travel and visa costs, in practice it is rare that guestworkers are fully reimbursed.26 Most struggle to repay their debt, while interest accrues. These obstacles are compounded when employers fail to offer as many hours of work as promised — a common occurrence. The U.S. forestry industry recruits many of its guestworkers from Huehuetenango in Guatemala, where many indigenous people live in extreme poverty with few opportunities to earn wages. 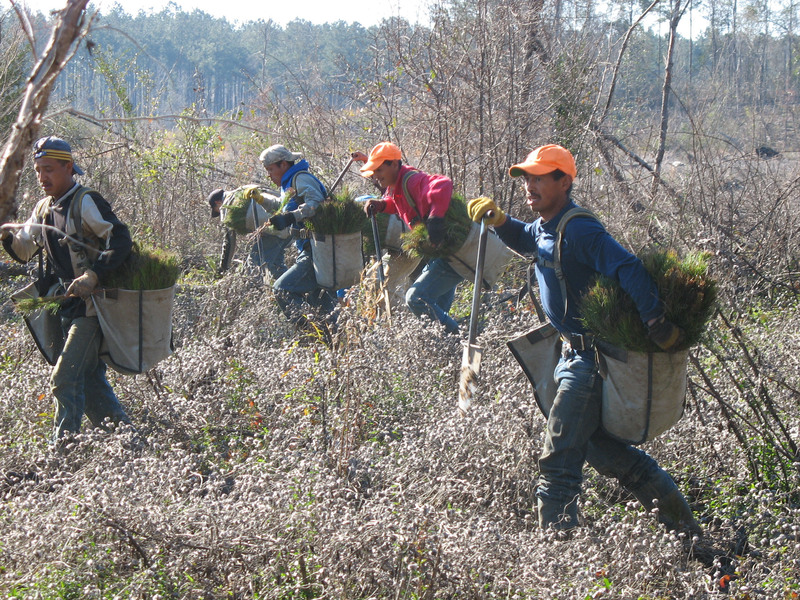 Over the past decade, the SPLC has represented Guatemalan guestworkers who are recruited to work in the forestry and pine straw industries. These workers have been routinely subjected to exploitative recruitment tactics, often by the same recruiters who have consistently escaped liability for their actions. This is true despite the Department of Labor’s recent efforts to better regulate the H-2 program, including enacting regulations that prevent employers from knowingly engaging recruiters who charge fees to workers. In reality, these incremental regulatory changes have not stopped recruitment abuse in guestworker programs. Guestworkers from Guatemala generally pay at least $2,000 in travel, visa and hiring fees to obtain forestry jobs in the United States. 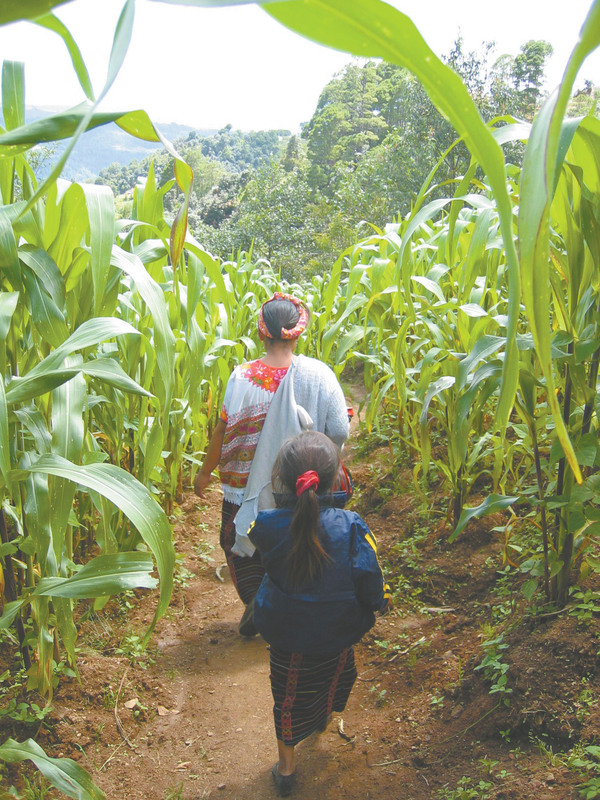 Guatemalans are recruited largely from Huehuetenango, an extremely poor region where many indigenous people live. Often illiterate, many speak Spanish as their second language, with varying degrees of proficiency. 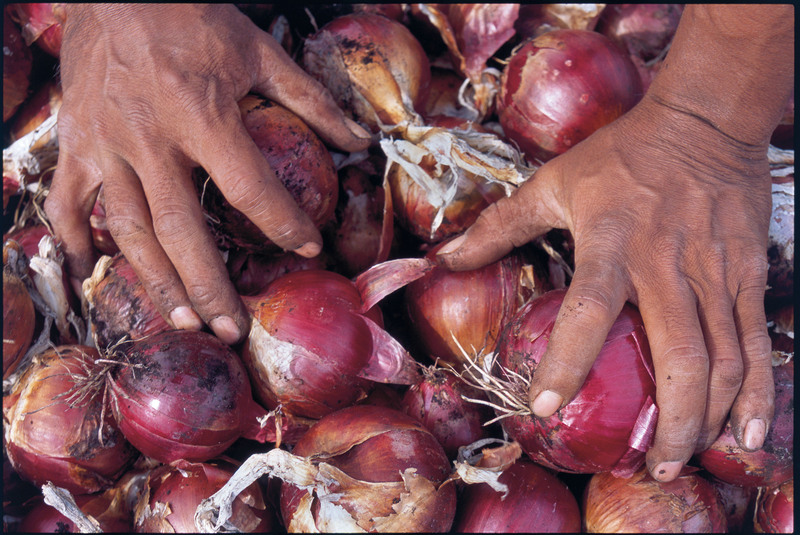 They generally work as subsistence farmers and have virtually no opportunity to earn wages in rural Guatemala. Thus, their only realistic option for raising the funds needed to secure H-2 jobs in the United States is to visit a loan shark, who will likely charge exorbitant interest rates. 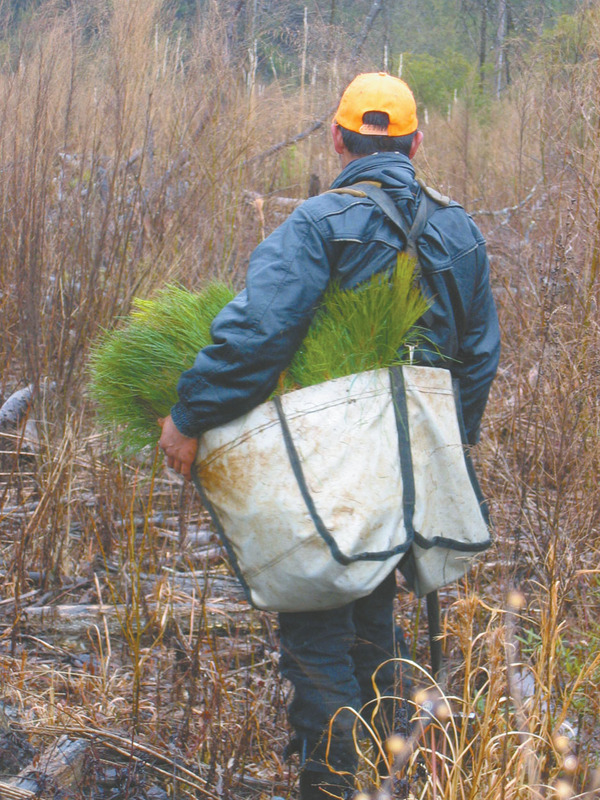 Given that the season for forestry work is generally three months long and workers often earn so little, they have little hope of repaying the debt doing the work for which they were hired. 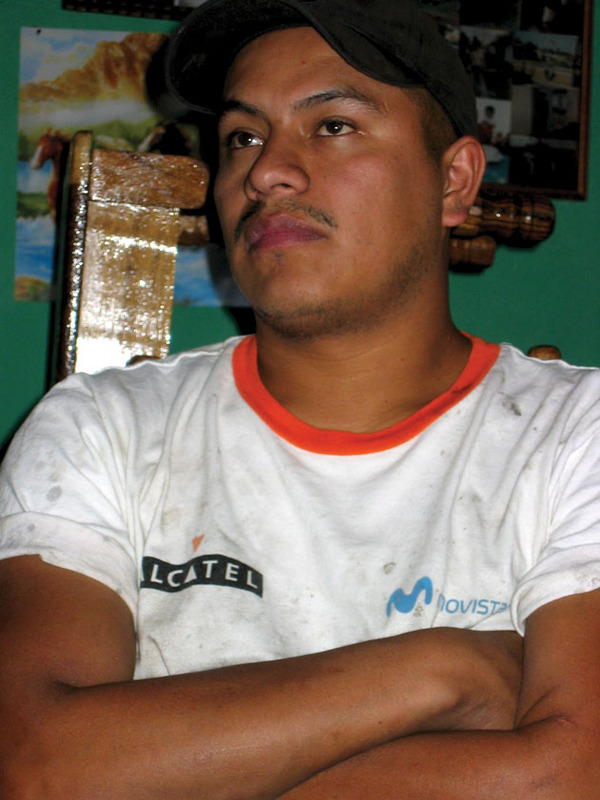 Leonel Hernandez-Lopez of Guatemala, like many other guestworkers, was required to leave the deed to his home with recruiters as “collateral. 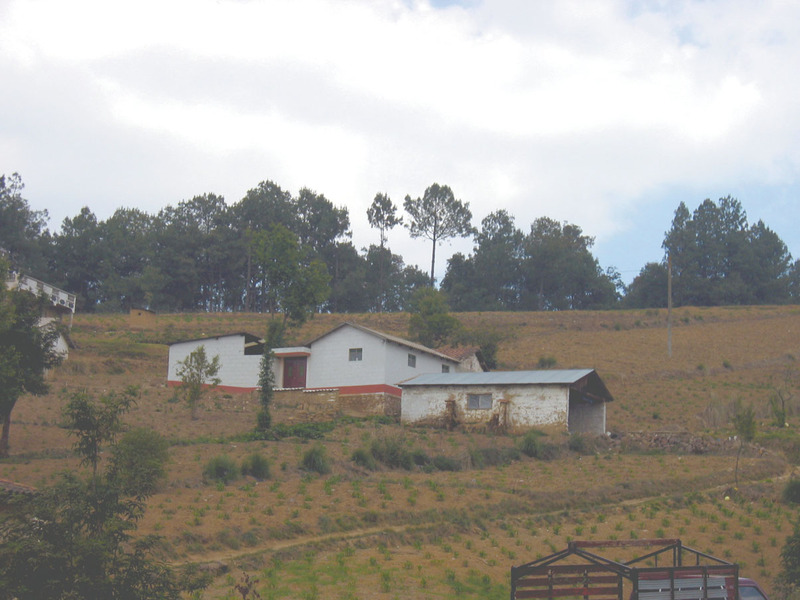 In addition, the majority of Guatemalan forestry workers interviewed by the SPLC were required to leave some form of collateral, generally a property deed, with an agent in Guatemala to ensure that the worker will “comply” with the terms of his contract. If a worker violates the contract — as determined by the recruiter — that worker will be fined or threatened. This tactic is enormously effective at suppressing complaints about pay, working conditions or housing. U.S.-based companies deny knowledge of the abuse, but there is little doubt that they derive substantial benefit from their agents’ actions. It is almost inconceivable that a worker would complain in any substantial way while a company agent holds the deed to the home where his wife and children reside. 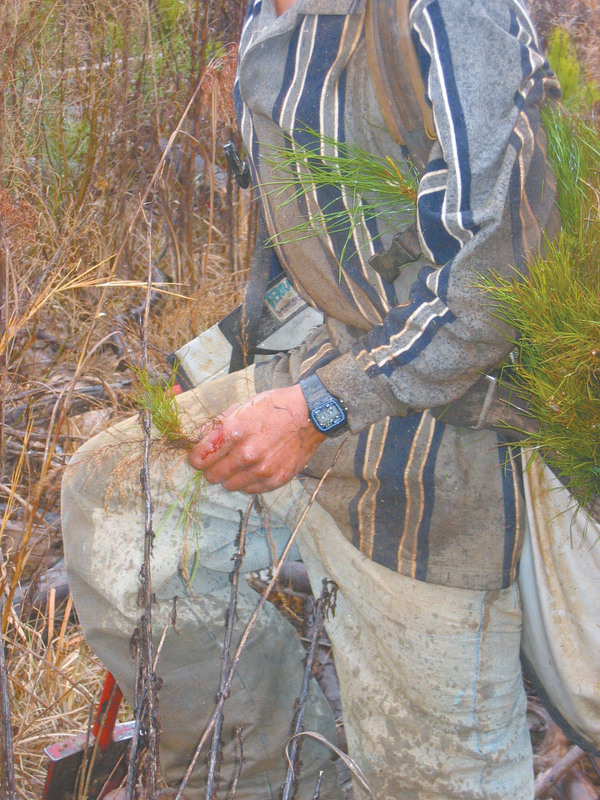 In 2012, Guatemalan guestworkers recruited to collect pine straw and harvest blueberries in the southeastern United States sought assistance from the SPLC in escaping an exploitative labor situation. The workers had borrowed large amounts of money at monthly interest rates of between 5 and 10% (well over 60% annually) to cover recruitment fees in addition to other pre-employment costs. Several of the workers offered the deeds to their homes as collateral. As one worker explained, “The recruiter told me that I would make $8.30 an hour and would never run out of work to do. I didn’t realize that I would also have to pay so much money each month for rent, transportation and work supplies. He made it sound like we would earn lots of money, but I wasn’t even able to pay off my debt.” The workers were never reimbursed for their travel and visa expenses. After receiving meager wages and languishing for weeks without work, many of the workers left their jobs in even greater debt as interest on their loans continued to accrue. The workers feared that they would lose their homes, bring shame to their families, or put their lives in danger if they returned to Guatemala without having paid off their debts. These tactics are not limited to any particular industry or country. SPLC clients from countries across the globe who work in a variety of industries, including hospitality and welding, have reported similar abusive recruitment tactics. In one SPLC case involving H-2B guestworkers from India, David v. Signal International, LLC, the recruiter threatened to cancel visas or tear up passports to keep job applicants in the recruitment pipeline. One worker described watching when two workers who had been recruited to work at Signal sought to withdraw from the recruitment process and asked to be refunded the approximately $10,000 they had each paid. He described how the recruiter refused to refund their fees and drew a big “X” across the visas in their passports. Other witnesses have described how this recruiter threatened to tear up the passports of workers who asked for refunds. 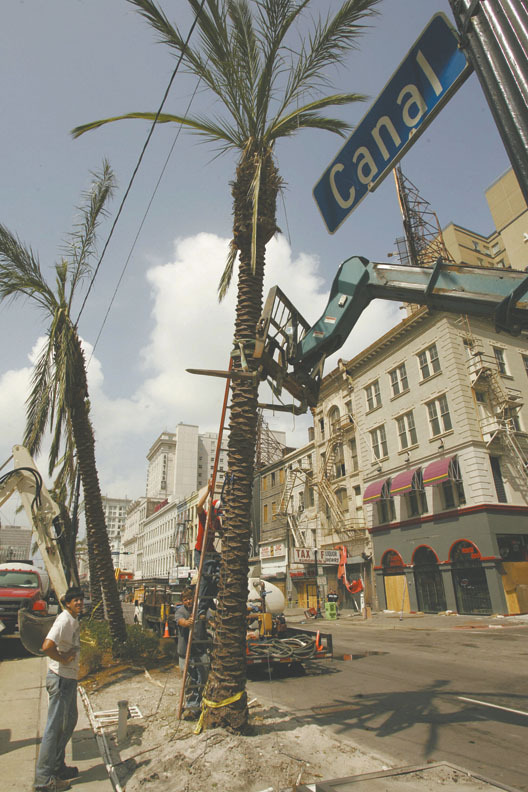 Guestworkers recruited from Bolivia, Peru and the Dominican Republic each paid between $3,500 and $5,000 to obtain temporary, low-wage jobs in New Orleans hotels after Hurricane Katrina. 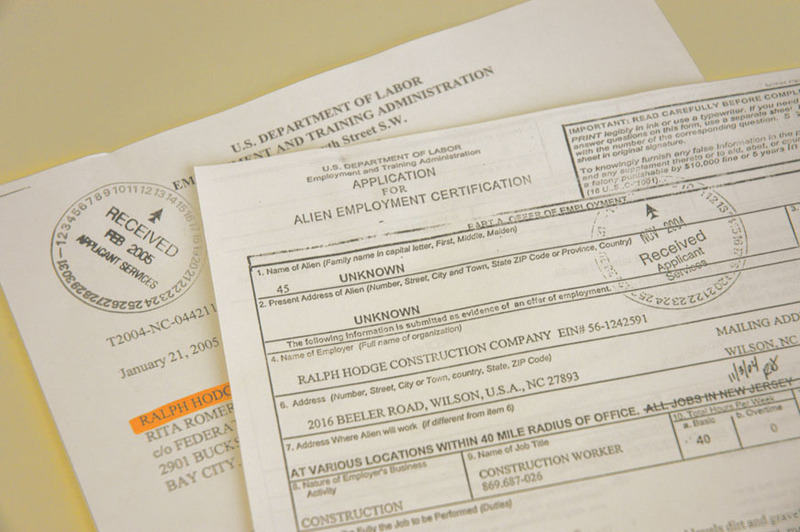 The hotel owner certified to the U.S. government that no American workers were available. Other advocacy organizations have thoroughly documented deceptive and abusive recruitment activities in a variety of H-2 occupations, including the seafood, herder, and agriculture industries, among others. Many of the workers interviewed by the SPLC know they are taking a risk by entering into deep debt in exchange for employment in the United States. This raises the question: Why do workers choose to come to the United States under these terms? The simple fact is that workers from Mexico, Guatemala and many other countries often have very few economic opportunities. In recent years, rural Mexicans have had an increasingly difficult time making a living at subsistence farming, and in some regions there are virtually no wage-paying jobs. Where jobs exist, the pay is extremely low; unskilled laborers can earn 10 times as much, or more, in the United States as they can at home. Most perceive the guestworker program as their best chance to get to the United States and provide a better life for their families. Recruiters often exploit workers’ desperate economic situation by deceptively promising them lucrative job opportunities and even green cards or visa extensions. These abuses are exacerbated by the inherently disempowering structure of the H-2 program. The program requires that guestworkers work only for the employer who sponsored their visa and that they leave the country when their visa expires. Therefore, once the workers arrive in the United States and the recruiter’s deception unravels, they face a tough decision: They can remain in an abusive situation, return to their home country where they have little chance of earning enough money to repay their debt, or leave their employer and become undocumented, risking their ability to return to the United States in the future to work. Tethered to a single employer and often unable to return home due to crushing debt, guestworkers are extremely susceptible to debt servitude and human trafficking. After weeks of scarce work and abusive treatment, Guatemalan workers recruited to work in pine straw and blueberries in 2012 saw no recourse other than to abandon their employer, risking retaliation, blacklisting, and loss of legal status. “I wanted to return home but couldn’t afford a plane ticket,” said one worker. “I was really worried about being in the United States illegally and ruining my chances of getting a visa again, but I felt I had no choice. I couldn’t stay at the farm any longer.” Workers who remain with abusive employers often find themselves in a similar situation when their contract is up. It is not uncommon for workers, desperate to pay off their debt before returning home, to overstay their visas or pay contractors, employers or even immigration attorneys for fraudulent visa extensions. Regulations prohibiting employers from using recruiters who charge fees do exist, but they are rarely enforced. This is likely because holding international recruiters accountable is nearly impossible when they can easily conceal their overseas activities from government monitoring. For example, two consulates in Latin America routinely asked prospective H-2 workers how much they had paid in recruitment fees, apparently out of concern that a high level of indebtedness would cause workers to overstay their visas in order to repay the debt. Workers were told by their recruiters what the “correct” — that is, false — answer should be, and workers dutifully understated the fees that they have paid. In reality, this system is so flawed that small regulatory changes simply have not — and will not — go far enough to put a stop to the lucrative recruitment game. Empowering guestworkers with the ability to switch employers and, eventually, to become full members of our society through a pathway to citizenship will go far toward reducing the control that unscrupulous recruiters and employers exert over guestworkers in the United States. These are basic rights to which guestworkers — who are simply seeking to better their lives by lawfully obtaining employment in the United States — should be entitled. The recruitment of guestworkers is a lucrative business for the companies that help U.S. employers obtain cheap foreign labor. A lawsuit filed by the Southern Poverty Law Center (SPLC) opens a window into this world, in which workers pay thousands of dollars to recruiters in their countries for the right to work in unskilled and semi-skilled jobs in the United States. The lawsuit, filed in 2008, contends that the marine fabrication and services company Signal International, and the company’s labor recruiters and lawyers, violated anti-racketeering, anti-trafficking, and wage and hour protections by charging guestworkers exorbitant fees based on false promises, refusing to reimburse those fees, and then using the guestworkers’ resulting debt as a tool to prevent them from leaving, effectively forcing them to put up with dismal working and living conditions. Following Hurricane Katrina, Signal sought to take advantage of a windfall of rig- and ship-repair jobs, but it lacked the necessary workforce. Signal hired Global Resources, a Mississippi-based labor broker, and Dewan Consultants, a Mumbai-based labor recruiter, to recruit and provide 590 Indian welders and fitters to Signal’s Texas and Mississippi shipyards to allow it to take advantage of the business opportunity created by storm damage. Sachin Dewan, director of Dewan Consultants, testified in a deposition that his firm collected between $11,000 and $18,000, and sometimes more, from each person recruited to work for Signal. These charges covered the exorbitant recruitment fees, and additional amounts for travel, immigration applications, and visas. In order to raise the money, the workers took on staggering debt at high interest rates, typically mortgaging the family home and land and pawning personal possessions. According to Dewan, the fees were the equivalent of two to three years’ salary for a welder in India. The workers paid so much because the recruiters had told them that Signal had agreed to sponsor them for permanent resident visas that would allow each worker to settle in the U.S. permanently with his wife and children. Upon arriving at Signal, the workers were distressed to find that conditions were not what they had been led to believe. 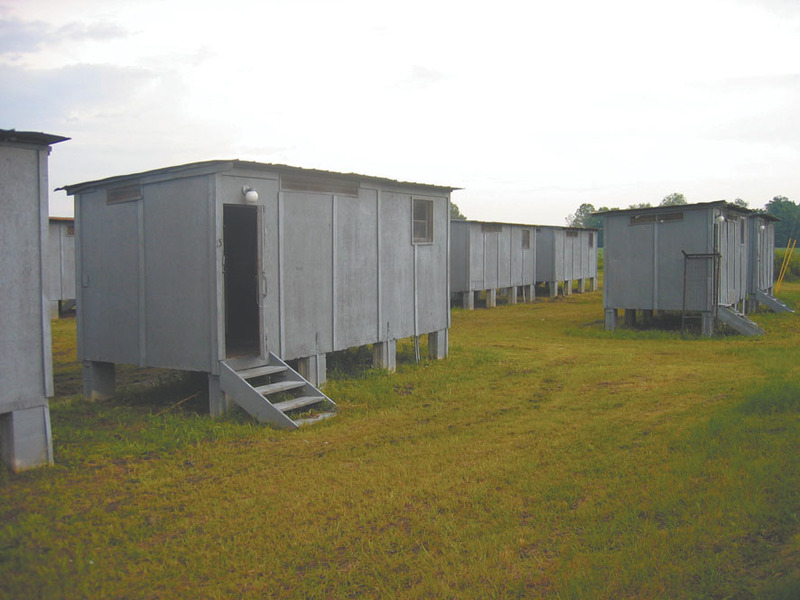 The guestworkers were housed on Signal’s work site in guarded labor camps, housed in cramped 24-by-36-foot trailers, each holding 24 men who shared two toilets. Signal deducted more than $1,050 per month from each worker’s paycheck for room and board, further heightening the workers’ stress over whether they could afford to service their debts. Worse yet, Signal eventually announced that it would not apply for the permanent residency visas the workers had been promised. Starting in 2003, the Arkansas-based company Candy Brand brought in hundreds of Mexican H-2A workers each year to harvest and pack tomatoes. Many of the workers were from Michoacán, Mexico. 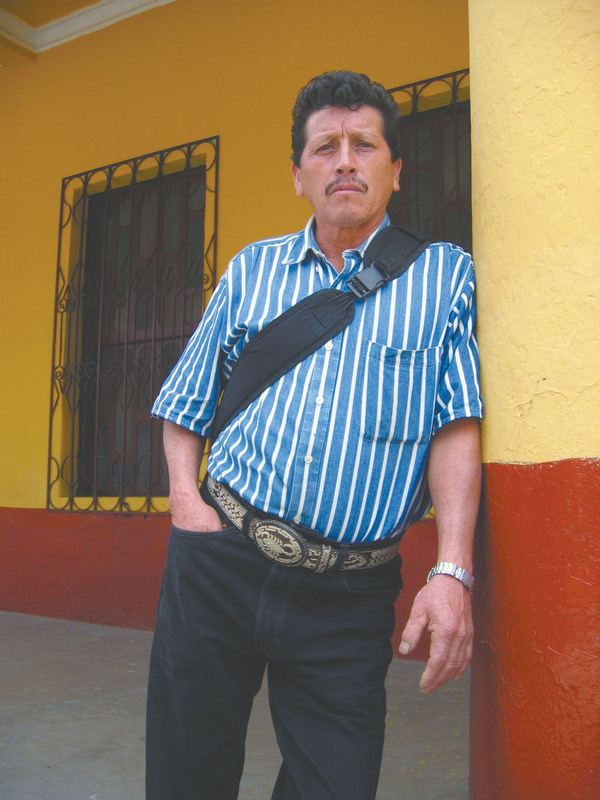 In Michoacán, a powerful, local family controlled the recruitment of Candy Brand workers. According to workers’ testimonies, the recruiters routinely charged them between $275 and $375 in fees just to have their names placed on a list of eligible workers. Workers from the Mexican state of Tabasco were not only required to pay a similar fee by their local recruiter, but were further extorted by one of the Michoacán recruiters. This recruiter met the workers in Monterrey after their visas were issued and demanded that they pay him an additional $1,000 just to have their visas and passports returned to them. “He held my passport up in the air and threatened to cut it if I didn’t pay him. I didn’t have all of the money he asked for but he gave me back my passport on the condition I would pay the rest of the money to his son in the United States after I started working for Candy Brand. The recruiters threatened to kill my wife and children in Mexico if I didn’t pay,” said Juan Pablo Asencio Vasquez, a worker from Tabasco. Reluctant to forgo the money they had already spent for the opportunity to work in the United States, the workers felt they had no other option but to pay these fraudulent and illegal fees. The most fundamental problem with guestworker programs, both historically and currently, is that the employer — not the worker — decides whether a worker can come to the United States and whether he can stay. Many abuses, perhaps most abuses of guestworkers, flow from the fact that the employer literally holds the deportation card. One of the most chronic abuses reported by guestworkers concerns the seizure of identity documents — in particular passports and Social Security cards.35 In many instances, workers are told that the documents are being taken in order to ensure that they do not leave in the middle of the contract. One SPLC client, an H-2 worker recruited to work in the southeastern United States, reported, “Our employers immediately confiscated our passports. They told us they were going to apply for our visa extensions and Social Security cards. The employers held onto our documents for months, even after telling us that our extensions had been granted. The grower threatened to report us to Immigration if we continued to ask for our passports back.” Without possession of their documents, the workers were fearful of leaving the farm. The worker continued, “Since I couldn’t prove that I was in the country legally, I was nervous to even go out to the store for fear that I would be stopped by the police.” The employers played on the workers’ fears, telling them that they were at risk of getting detained and deported if they went out into the community without documents. Employers often confiscate visas and other documents from guestworkers, ensuring they cannot leave their jobs. There is no realistic mechanism for workers to recover their identity documents. Numerous employers have refused to return these documents even when the worker simply wanted to return to his home country. The SPLC also has encountered numerous incidents where employers destroyed passports or visas in order to take away workers’ proof of legal status. When this happens, there is little likelihood of a worker obtaining assistance from local law enforcement officials. In many jurisdictions, lawyers representing workers advise them to avoid calling police because they are more likely to take action against complaining workers than against the employer. In the Signal case, when workers organized to demand better conditions, Signal called a meeting of all the guestworkers. As one worker put it, “One of the company officials said that Signal was meeting all of our needs and that if we continued complaining, they would send us back to India.” At around 5 a.m. the next morning, Signal employees and security guards grabbed four people, including two workers identified as leaders of the organizing efforts. Signal’s senior vice president said in a deposition that the plan was, “don’t give them any advance notice, take them all out of the line on the way to work, get their personal belongings, get them in a van and get their tickets and get them to the airport and send them back to India.” One of the security guards stated in a document provided during the discovery process that Signal’s goal was to make an example of these workers so that guestworkers understood they were not to make trouble. The plan was disrupted only when one of the rounded-up workers attempted suicide, and the police responded to the ensuing uproar. Indian workers lured to Gulf Coast shipyards with false promises of U.S. residency demanded better working and living conditions, but the company fired the organizers. Even when employers do not overtly threaten deportation, workers live in constant fear that any bad act or complaint on their part will result in their being sent home or not being rehired. Fear of retaliation is a deeply rooted problem in guestworker programs. In 1964, the Mexican-American labor organizer and writer Ernesto Galarza found that despite the prevalence of workers’ rights violations, only one in every 4,300 braceros complained.39 In examining the H-2A program in North Carolina, Human Rights Watch found “widespread fear and evidence of blacklisting against workers who speak up about conditions, who seek assistance from Legal Services attorneys, or who become active in [the union].”40 The North Carolina Growers Association blacklist has been widely publicized. The 1997 blacklist, called the “1997 NCGA Ineligible for Rehire Report,” consisted of more than 1,000 names of undesirable former guestworkers. After H-2B workers represented by the SPLC filed a class action lawsuit against the U.S. forestry company Eller and Sons Trees, Inc. for massive wage violations, the company took advantage of the workers’ fear of retaliation to coerce them into withdrawing from the case. Only days before the deadline for class members to withdraw, a company agent flew to Guatemala to attend a hiring meeting for prospective workers. At this meeting, the company agent informed the workers that the lawsuit would hurt both the company and the workers and presented them with forms to opt out of the case. Fearing that the company would not rehire them if they did not sign, the majority of the workers complied. As Irlamar Aguilar Martinez, a class member in attendance, testified, “the American asked who wanted to sue the Eller and Sons company or who didn’t want the company to come to an end. People voted by raising their hand as the American and [the Guatemalan recruiter] observed.” Never intending to withdraw from the case, Irlamar signed the form because the recruiter told her: “With this the boss will see that you are in need of a visa.” The court later declared the opt-out forms submitted by workers at the hiring meeting invalid because they had been improperly obtained. Workers live in constant fear that any bad act or complaint on their part will result in their being sent home or not being rehired. Fear of retaliation is a deeply rooted problem in guestworker programs. Despite modest reforms to the H-2 program intended to prevent these tactics in recent years, fear of retaliation among workers is a constant concern — and one that is warranted. As long as a worker’s visa is tied to a single employer and that employer “holds the deportation card,” guestworkers’ legal rights will, in practice, exist only on paper. In November 2006, Josy* left his town in southern India to travel to the U.S. He had paid approximately $13,150 to a labor recruiter for what he understood to be a good job at shipyards owned by Signal International, which he believed at the time to be a reputable company, and the chance to settle permanently in the U.S. with his family. In fact, he was traveling on an H-2B visa that would be good only for 10 months, and the job would be nothing like he was promised. His investment represented a huge sum that Josy’s meager salary in India as a welder could not begin to cover. Putting up his family’s land and home as collateral, he borrowed the bulk of the money at a 14% interest rate; his family pawned heirloom jewelry, which has huge cultural significance in India, to raise most of the rest. The Signal labor camp was in an isolated location. Signal did not allow the guestworkers to have visitors in the camp. Guards were stationed at the gate to ensure that no visitors entered. “I felt like we were living in a jail,” Josy said. Josy’s first child was born shortly after he arrived in the United States. He was unable to travel home to see his newborn daughter, but the desire to take care of her fueled him to keep fighting through the indignities and hardships too common in the guestworker program. Despite federal law requiring the payment of the Adverse Effect Wage Rate to H-2A workers and the prevailing wage rate to H-2B workers, in practice many guestworkers earn substantially less than even the federal minimum wage of $7.25 per hour. Legal Services attorneys have represented H-2A workers in hundreds of lawsuits against their employers. And more than 50 lawsuits have been filed on behalf of H-2B workers across the nation in recent years, many by the Southern Poverty Law Center. Given that only a handful of lawyers provide free legal services to these low-wage workers, these numbers reflect a grave problem: Employers using the services of guestworkers in many industries routinely violate basic labor laws. The SPLC has encountered rampant wage theft in the agricultural, forestry, pine straw, and hospitality industries. Additionally, allegations of wage theft in other industries that rely heavily on guestworkers, such as seafood processing,42 landscaping43 and carnivals,44 have been made in lawsuits and administrative complaints filed by advocates throughout the country. Wage theft of guestworkers in low-wage occupations can take various forms. Common practices include minimum wage violations disguised by complicated piece-rate pay schemes, underreporting of hours, failure to pay overtime, and making unlawful deductions from workers’ pay. According to the law, employers must cover the costs of items that principally benefit the employer, such as work tools, safety equipment, and — in most parts of the country — workers’ travel and visa expenses to come to the United States. Yet, employers routinely fail to reimburse workers for their travel and visa expenses,45 and they frequently make deductions from workers’ paychecks for items that are for the benefit of the employer.46 These practices, as well as more overt forms of wage theft, such as the underreporting of hours, result in the chronic underpayment of wages, exacerbating guestworkers’ already precarious situation in the United States. 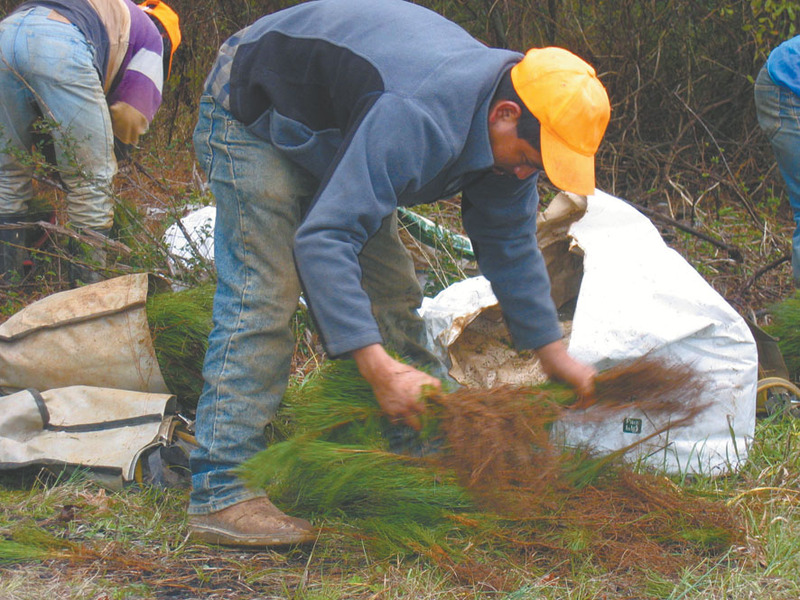 Although an H-2B contract between employer and worker specifies a minimum hourly wage — the prevailing wage, which has run in recent years from approximately $7.30 an hour to more than $12 per hour, depending on the year and the state — guestworkers employed as tree planters are more often paid by the number of seedlings they plant. They are told that they are expected to plant at least two bags of 1,000 seedlings each in an eight-hour day, a task that is often impossible. Payment ranges from $15 to $30 per bag. Guestworkers in some industries are systematically cheated out of wages they earn, even when they carefully document their hours. An experienced hand-planting crew can average 1,500 well-planted seedlings per person per day. On rough sites, a worker might average just 600 trees per day; in open fields, a worker might plant up to 2,000 in a day.47 At the average rate of 1,500 trees, a worker could earn between $22.50 and $45 a day, far less than the legally required wage. By law, the employer is obligated to make up the difference between the bag rate and the prevailing wage rate. This is rarely done. 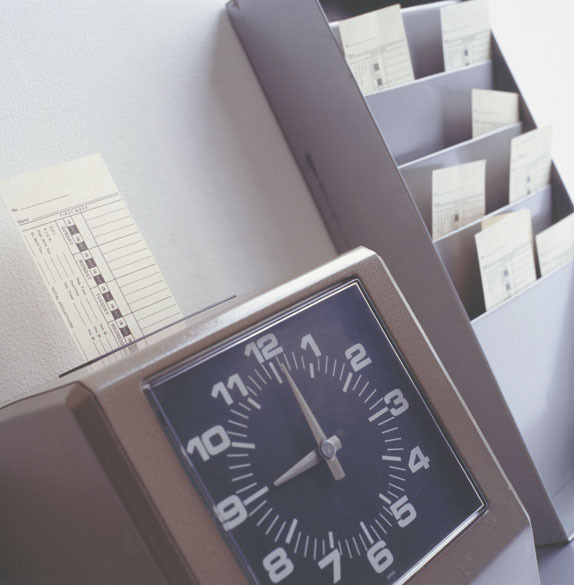 Most workers report working between eight and 12 hours a day. But they rarely, if ever, earn overtime pay, despite the fact that they often work six full days a week and average well over 40 hours. In addition, they are routinely required to purchase their own work-related tools and incur other expenses and deductions, unlawfully cutting into their pay. 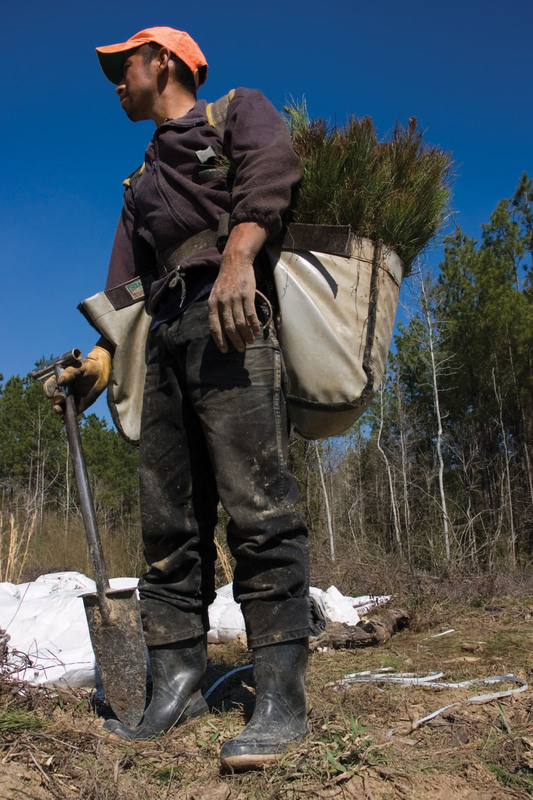 Virtually every forestry company that the SPLC has encountered provides workers with pay stubs showing that they have worked substantially fewer hours than they actually worked. Relying on interviews with more than 1,000 pine tree workers, the SPLC has concluded that this industry systematically underpays its workers. An Arkansas company cheated tomato harvesters out of hundreds of thousands of dollars after they each paid up to $3,500 in travel, visa and recruitment fees to obtain the jobs. Because of the lack of enforcement by government officials and the vulnerability of guestworkers, this exploitation has continued largely unfettered for many years. In 2007, the SPLC filed a class action lawsuit against the Arkansas-based tomato operation Candy Brand, LLC for failing to comply with federally mandated wage protections in addition to the terms of the workers’ contracts.48 The company relied on hundreds of Mexican H-2A workers each season to harvest and pack tomatoes. The workers each paid up to $3,500 in travel, visa and recruitment expenses for the opportunity to work in the United States. The company’s agents in Mexico had promised the workers decent wages. Rather than the hourly pay rate they were promised, however, the employers paid the workers who harvested tomatoes a flat rate of $50 a day. Under this pay scheme, the workers made less per hour than the Adverse Effect Wage Rate to which they were entitled as H-2A workers. Over the course of five years, the company cheated the tomato harvesters out of hundreds of thousands of dollars. Candy Brand also violated the law by failing to reimburse workers for the money they spent on visa fees and transportation costs from their hometowns in Mexico to Arkansas, effectively bringing their first week’s pay below the federal minimum wage. From 2003 to 2007, the company underpaid H-2A workers by more than $1 million by illegally shifting the burden of these expenses to its workforce. After reaching a settlement agreement in December of 2011, workers succeeded in recovering $1.5 million in back wages and damages for a class of more than 1,800 workers. Despite the overwhelming evidence of worker exploitation presented in the lawsuit, the Department of Labor has continued to certify the tomato company (under the new name of Clanton Farms, LLC) to bring in H-2A workers for the tomato harvest. In an attempt to stop this widespread wage abuse, the SPLC has filed seven class action lawsuits against large H-2 employers since 2004. To date, four of those lawsuits have been settled, resulting in employers and contractors agreeing to pay back wages to class members and change the way they do business.49 One case on behalf of forestry workers resulted in an $11 million judgment.50The Candy Brand case, discussed above, resulted in a $1.5 million judgment for the tomato workers. One case is still pending. 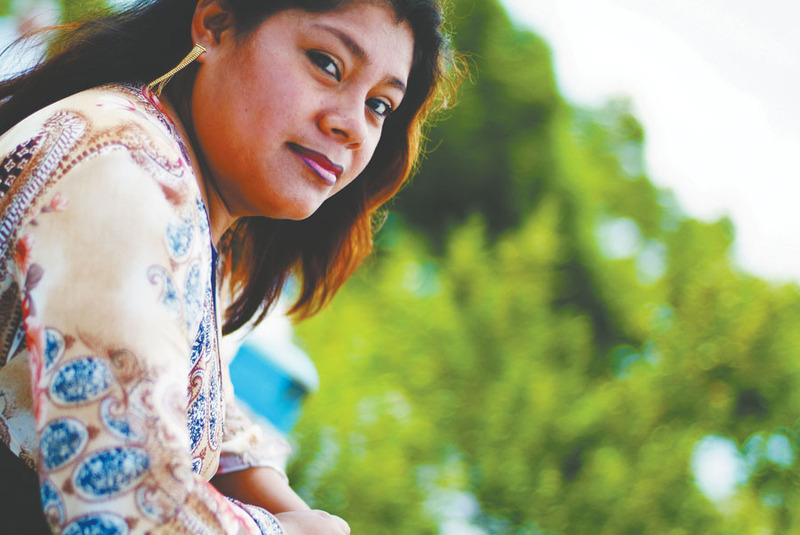 In spring 2009, Julia* arrived in Florida on an H-2B visa to work as a hotel housekeeper. She was recruited in Jamaica by a recruiter who promised her good wages, affordable housing, and full-time work. She paid nearly $1,500 for recruitment and visa fees, airfare, and other transportation expenses for the opportunity to work in the United States — money she had to borrow. When Julia arrived, she was surprised to discover that she would actually be working for a hospitality subcontractor at an entirely different hotel than the one that had sponsored her visa. After nearly one month of working 40 hours or more a week cleaning hotel rooms, Julia and her co-workers had not received a single paycheck. Deeply in debt from their travel and visa expenses, and without any income in the United States, Julia and her co-workers were forced to eat the food that the hotel guests left behind in the rooms. They also relied on the few workers who had relatives in the United States to purchase food and provide them with transportation to the grocery store from their isolated apartment complex. When the workers finally did receive a paycheck, it was for much less than what they were owed based on the hours they had worked, and it did not include overtime pay. The employers had also made excessive deductions for rent, transportation, and unexplained “miscellaneous fees,” which lowered the workers’ pay below the federal minimum wage. In addition, the employers failed to reimburse the workers for their travel and visa expenses, as required by law. One day, Julia and her co-workers gathered to protest the wage theft to their employers. Some workers threatened to leave. The employers warned the workers that if they left the hotel premises or looked for a second job, they would be deported. Federal regulations require employers who hire H-2A workers to pay at least the highest of the state or federal minimum wage, the local “prevailing wage” for the particular job, or an “adverse effect wage rate” (AEWR). The AEWR was created under the bracero program as a necessary protection against wage depression. The Department of Labor (DOL) issues an AEWR for each state based on U.S. Department of Agriculture (USDA) data. H-2B workers often face an even worse situation with regard to wages than H-2A workers. Under the law, they are entitled only to the “prevailing wage” for their work; there is no adverse effect wage rate for those workers. Of course, even though H-2B workers are entitled to payment of prevailing wages and to employment in conformity with required minimum terms and conditions as provided for in the employer’s labor certifications, federal law provides no real remedy when these rights have been violated. The purpose of the prevailing wage is to ensure U.S. worker wages are not depressed by the influx of foreign workers to the U.S. labor market, but the current methodology for calculating the H-2B prevailing wage rate is doing the exact opposite. In fact, under the current methodology, the wages of H-2B workers are in some industries almost $4 to $5 lower than the average wage for those occupations, a situation that inevitably places downward pressure on U.S. worker wages.53 The DOL itself determined that the current H-2B wage rule degraded the wages of U.S. workers and, in response, proposed a new rule that would better protect U.S. worker wages.54 This new rule has been attacked by employers in the courts, and its implementation has been effectively blocked by Congress, largely due to the efforts of a few vocal senators and representatives from states with industries that rely heavily on H-2B workers. As a result, a wage rule that directly contravenes its purpose — to protect U.S. worker wages — is still in effect today, resulting in the gross underpayment of wages to hundreds of thousands of H-2B and U.S. workers. But this is not the only reason that the H-2B wage rule is harming U.S. workers: When an industry relies on guestworkers for the bulk of its workforce, wages tend to fall. Guestworkers are generally unable to bargain for better wages and working conditions. Over time, wages decline and the jobs become increasingly undesirable to U.S. workers, creating even more of a demand for guestworkers. A chronic problem faced by guestworkers is that employers recruit too many of them, a situation that leads to workers not being able to earn as much as they were promised. Because the workers themselves, not the employers, absorb most of the costs associated with recruitment, employers often grossly exaggerate their labor needs when seeking Department of Labor (DOL) approval to import workers. In 2011, the DOL inspector general found that several large forestry employers in Oregon “significantly overstated their actual need for foreign workers.”55 To be sure, sometimes employers genuinely do not know months ahead of time exactly how many workers they will need, and they may worry that some workers will leave. Under the H-2 program, employers are obligated to offer full-time work when they apply to import foreign workers; anything less will not be approved by the DOL. There is virtually no enforcement of this requirement in practice, however. In the H-2B program, there is no regulation of the number of hours that must be guaranteed to workers. The DOL included the “three-quarters guarantee” in its newly proposed H-2B regulations, but those regulations are currently blocked as a result of employer-driven legal challenges. Requiring employers to guarantee H-2B workers a certain number of hours is important because the DOL generally will not enforce the provisions of an H-2B job order, and some courts have held that an H-2B job order is not an enforceable contract.57 Thus, if a worker arrives in the United States on an H-2B visa and is offered no work for weeks on end (and this has occurred many times) that worker has virtually no recourse. He may not lawfully seek employment elsewhere. He likely has substantial debts on which he must continue to make payments. As an H-2B worker, he more than likely is obligated to pay for housing; certainly, he must pay for food. The ramifications to the worker of being deprived of work for even short periods are enormous under these circumstances. Fundamental to the problem is that the worker is not free to shop his labor to any other employer. Employers violate guestworker contracts with impunity, frequently misclassifying workers to avoid paying higher wages. In some instances, workers never receive a contract or are forced to sign a contract that they do not understand.58 “When I arrived to the U.S., the employer handed me a contract and told me to sign it,” said one pine straw worker. “I didn’t get the chance to look it over because I felt pressure to sign it right away. I spent a lot of money just to come to the U.S. and didn’t want to risk my job by causing any problems right away.” If workers cannot understand the terms of the contract — or worse — they are never given a contract, then it is highly unlikely that they will attempt to enforce employer compliance with contract guarantees, even assuming any exist. Other factors, including fear of retaliation and lack of access to enforcement mechanisms, means contractual promises, in practice, rarely provide H-2 workers with any meaningful security. Other contract violations are routine. One of the most common is that of misclassification. This occurs most often when workers who should be characterized as H-2A workers (because, for example, they are picking produce in the field) are instead brought in as H-2B workers (and labeled as packing shed workers, for example). This results in workers being paid substantially less than the wage rate they should lawfully be paid. It also results in the workers being denied the substantially better benefits and legal protections afforded to H-2A workers, such as free housing and eligibility for federally funded legal services. In another common form of misclassification, employers simply misstate the kind of work H-2B employees will be performing, so that the prevailing wage rate is set for one kind of work, such as landscaping, when the workers actually will be doing work that warrants a higher prevailing wage rate, such as highway maintenance.59Again, there is virtually no recourse for a worker in this circumstance because the DOL generally under-enforces these kinds of abuses and H-2B workers are ineligible for federally funded legal services. As a practical matter, the only thing that workers can do, then, is to receive far less than they are legally entitled to under the law. This is just one more way that employers can exploit the guestworker system for profit — and the vast majority of workers can do nothing about it. 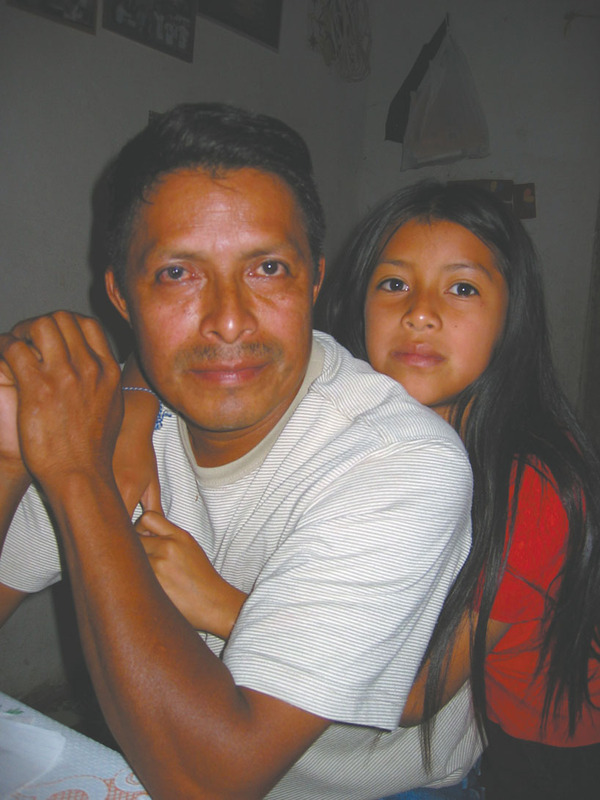 Cirilio* is one of about 85 workers from Guatemala who traveled to the southeastern United States in 2012 to bale pine straw and harvest blueberries. 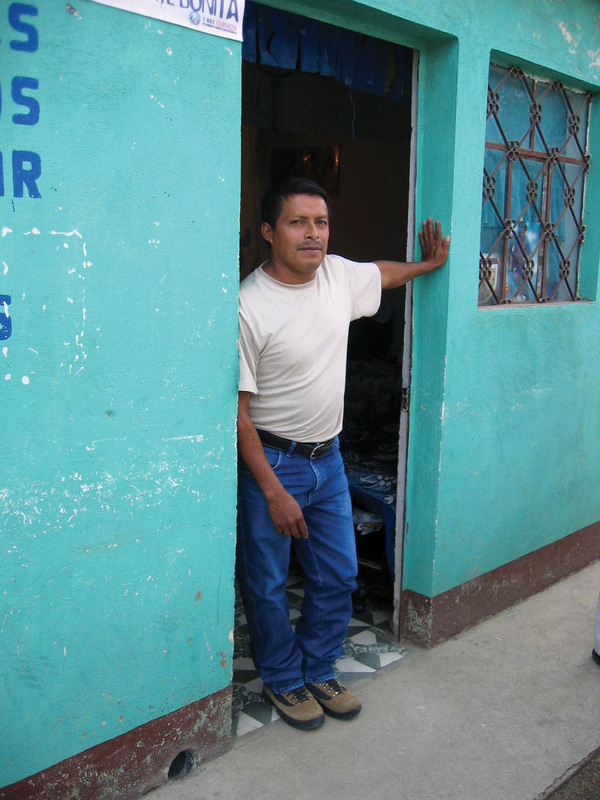 Making only about $10 to $40 a week in coffee production in Guatemala, Cirilio was eager for the opportunity to earn higher wages in the United States. “My wife had been sick and we needed money to pay off loans for her medical treatment. We also hoped that this opportunity would also help bring us closer to our dream of building a house together and starting a family,” he said. Already deeply in debt due to his wife’s illness, Cirilio took out additional loans to pay for the $2,000 in travel, visa and recruitment expenses. When Cirilio arrived in the United States, his employers confiscated his passport and withheld it for the duration of his employment. Cirilio initially worked long hours baling pine straw, often leaving the house before dawn and working until sunset. Cirilio was never reimbursed for his travel or visa expenses, and his wages were further reduced by excessive deductions: Employers automatically deducted $200 from his check each month for rent and transportation, and Cirilio spent about $40 to $60 of his own money per week on string used for tying pine straw bales. Guestworkers toil in some of the most dangerous occupations in the United States.61 Fatality rates for the agriculture and forestry industries, both of which employ large numbers of guestworkers, are seven times the national average.62 Unfortunately, when H-2 workers suffer injuries on the job, all too often they are denied access to appropriate medical care and benefits. Those who are seriously injured face enormous, often insurmountable obstacles to obtaining workers’ compensation benefits. In most instances, guestworkers are entitled to workers’ compensation benefits — on paper, at least. The reality is that many injured guestworkers are not able to obtain the benefits to which they are entitled under this system. Only the H-2A program requires employers to provide workers’ compensation coverage throughout the United States. For H-2B workers, workers’ compensation coverage depends on the laws in the state where the worker is employed. Because workers’ compensation rules vary by state, some states are more accessible to transnational workers than others. And workers often lack the knowledge needed to negotiate the complex system in order to have benefits continue when they leave the United States. Such policies obviously disproportionately affect the families of guestworkers killed on the job. The forestry industry illustrates the problems many guestworkers face in gaining access to benefits. 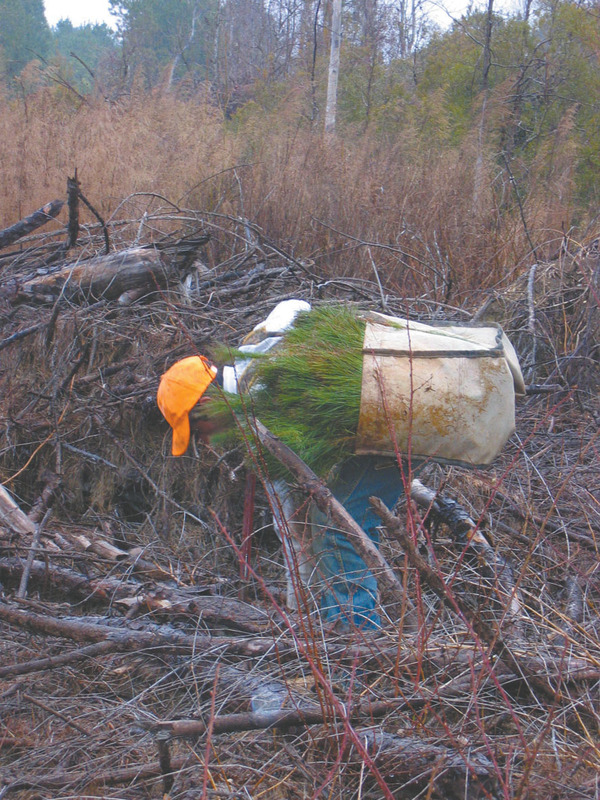 Getting injured on the job — either in the forest or in the van traveling to and from the forest — is a common occurrence for tree planters. They rarely receive any compensation for these injuries. Enrique Napoleon Hernandez-Lopez cut his thumb while planting trees but didn’t receive medical attention for seven days. He spent 14 days in the hospital for an infection and nearly lost his thumb. The pressure on workers to keep injuries to themselves is tremendous. Again, this is related to employers’ absolute control of the right of guestworkers to be present in, work in and return to the United States. Workers who report injuries are sometimes asked to sign forms saying they are quitting. They are told that if they sign and go home, they may be allowed to come back the following year. Injuries and workplace hazards are prevalent in other H-2B industries too. An investigation by Centro de los Derechos del Migrantes and American University Washington College of Law of the working conditions of female H-2B workers in Maryland’s crab processing plants found that “[w]ork-related injuries are common.” Virtually all of the workers interviewed reported having been cut while working; many reported having “injured themselves due to the sharp knives, crab claws, and the hurried pace of work.” Some employers discouraged the workers from properly treating their cuts, putting them at risk of contracting a potentially fatal infection caused by seaborne bacterium. 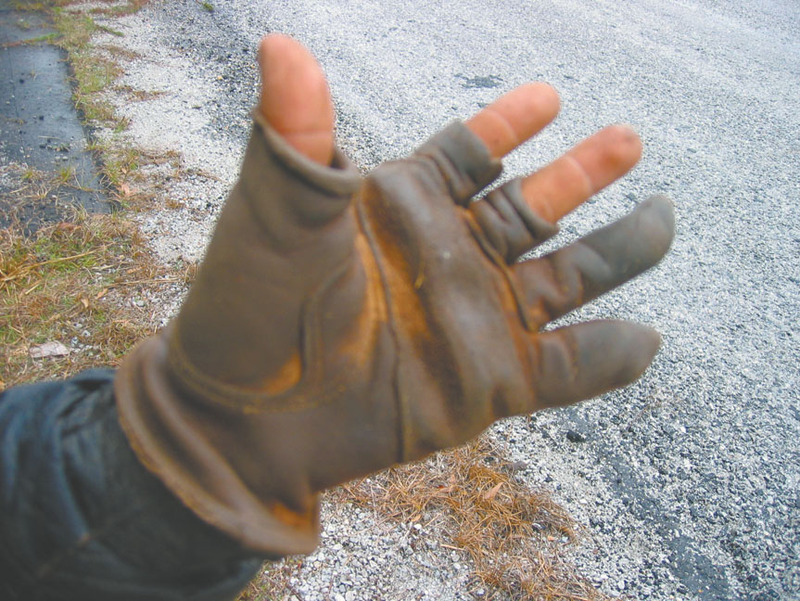 In violation of federal Occupational Safety and Health Act requirements, most employers failed to provide workers with protective gloves. The vast majority of workers received no formal training by employers on safe crab-picking techniques. Under the H-2 system, it is simply too easy for employers to cast aside injured workers with impunity. Many large employers who rely on guestworkers attempt to avoid responsibility for unlawful practices by obtaining workers indirectly through a labor contractor.67 This use of labor brokers puts workers at greater risk of abuse and makes enforcement of their rights even more difficult than it is already. Increasingly, the entities bringing guestworkers into the United States are not the companies that end up using the labor. This practice has devastating results for both U.S. and H-2 workers. The participation of these entities – known as labor brokers or contractors – in the H-2 program is fundamentally at odds with the purpose of the program, which is to allow employers to bring in foreign labor on a temporary basis and only when they show there is a shortage of U.S. workers for the job. Because job contractors have a permanent, year-round need for workers to supply to their employer-clients rather than a temporary need, their participation in the program erodes the built-in protections for U.S. workers. The DOL itself has concluded that a “job contractor’s ongoing need is by its very nature permanent rather than temporary.”68 The DOL is approving job contractor applications anyway. Job contractor involvement in guestworker programs is also problematic for foreign workers. H-2 workers, who usually speak no English and have no ability to move about on their own, are completely at the mercy of these brokers for housing, food and transportation. No matter how abusive the situation, even if workers are not paid and their movements are restricted, they typically have no recourse whatsoever. Having a legal remedy against a labor contractor with no assets is no remedy at all. And it is extremely difficult for workers to get meaningful redress for violations of their rights from the ultimate employers when the employers can evade liability by shifting the blame to the contractors. Recognizing these problems, the DOL has attempted to better regulate – though not prohibit – the involvement of job contractors in the H-2A and H-2B programs in recent years. Unfortunately, these efforts have either fallen short or been defeated by employer challenges. In 2010, the DOL enacted new regulations that require farm labor contractors to list the employers that will actually be using the labor on their application for the temporary labor.69 The regulations also require labor contractors that apply for H-2A workers to post a bond. In theory, these measures should prevent sham companies with no assets from obtaining H-2A workers and hiring out their labor. In practice, however, farmworker advocates report that labor contractors are circumventing these protections by supplying fraudulent information to the DOL, including claims that they are growers or employers, to avoid the bond requirement. Under the current H-2B regulations, job contractors may petition for H-2B workers by demonstrating that the ultimate employer, rather than the contractor, is experiencing a temporary labor shortage. The DOL has attempted to change this practice by proposing regulations that require job contractors to establish their own temporary labor shortage and to file applications jointly with their employer-clients as a pre-condition of applying for H-2B workers. These regulations have been blocked, however, by employer-driven legal challenges. Two lawsuits illustrate the problems with the involvement of labor brokers in the H-2 programs. In these cases, labor brokers brought in vulnerable foreign workers whom they hired out to different employers with devastating results. These cases are symptomatic of a flawed program that encourages the private trafficking of foreign workers with insufficient government oversight. Job contractors should be prohibited from obtaining and hiring out guestworkers. If job contractors are allowed to participate in the H-2 program, then the employers that ultimately benefit from the guestworkers’ labor should be held strictly liable for all job contractor abuses. Discrimination based on national origin, race, age, disability and gender is deeply entrenched in the H-2 guestworker system. It often begins even before guestworkers are hired and is intended to ensure that U.S. workers are effectively locked out of the job. Employers may bring in guestworkers only if U.S. workers are unavailable.77 As a result, the DOL requires employers to make an effort to recruit U.S. workers before it will approve their application for guestworkers. But because many H-2 employers simply prefer vulnerable foreign workers over domestic workers, employers often engage in discriminatory tactics to weed out U.S. workers. Employers also routinely engage in discriminatory practices when it comes to hiring guestworkers. In fact, one federal appellate court has placed its stamp of approval upon such discrimination. In Reyes-Gaona v. NCGA,80 the 4th U.S. Circuit Court of Appeals found that even explicit age discrimination in hiring H-2A workers was not unlawful. 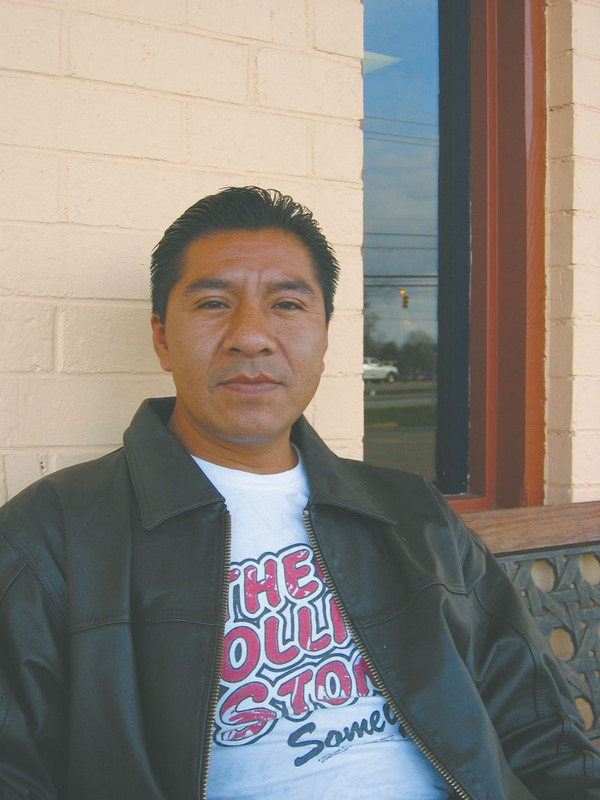 In that case, there was little dispute that the recruiter, Del-Al Associates, which recruited thousands of guestworkers to the United States, told Luis Reyes-Gaona, who applied in Mexico to be an H-2A worker in North Carolina, that it was the policy of the North Carolina Growers Association (NCGA), for whom Del Al was recruiting, that NCGA would not accept new employees over the age of 40. The court found that because this choice had occurred outside the territory of the United States, it was not actionable under the Age Discrimination in Employment Act. Although it is possible that other courts will reach a different conclusion on this issue, there is little doubt that such discrimination is pervasive.81 Indeed, the ability to choose the exact characteristics of a worker (male, age 25-40, Mexican, etc.) is one of the very factors that make guestworker programs attractive to employers. Discrimination is pervasive in the H-2 guestworker program, as employers often seek either men or women to perform certain jobs. 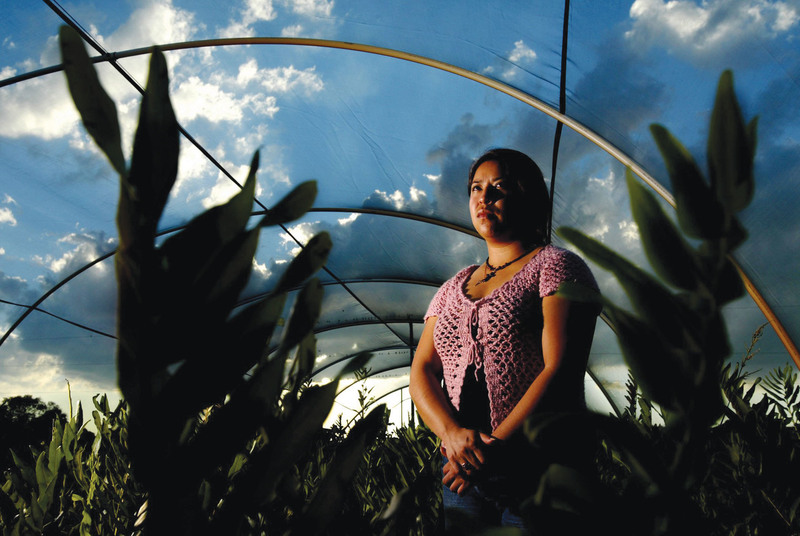 Marcela Olvera-Morales is a Mexican woman who worked as a guestworker in 1999 and 2002. In 2002, the EEOC issued a determination finding reasonable cause to believe that she faced unlawful discrimination on the basis of gender. She alleged that a recruiter – the International Labor Management Corp. (ILMC), which places thousands of guestworkers in U.S. jobs – systematically placed women in H-2B jobs while placing men in H-2A jobs, which provide better pay and benefits. 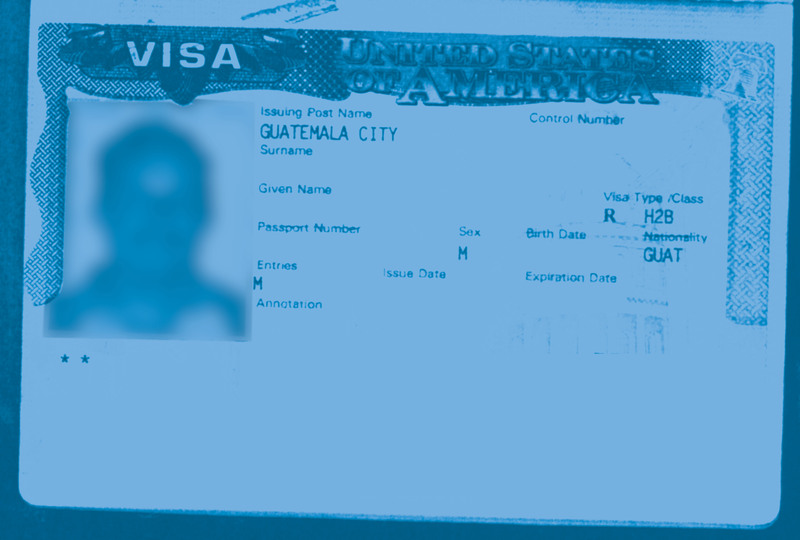 Statistical data showed that the likelihood the gender-based difference in the granting of visas was due to chance was less than one in 10,000.82 As part of a 2009 settlement, the ILMC was required to engage in affirmative steps, including ongoing monitoring by the plaintiffs, to ensure that guestworkers who the ILMC placed were not subjected to gender discrimination. Once in the workplace, it is not uncommon for guestworkers to be subjected to discrimination and harassment. In 2006, welders and pipefitters coming from India on H-2B visas arrived on the Gulf Coast to work for Signal International, a marine industrial construction company. 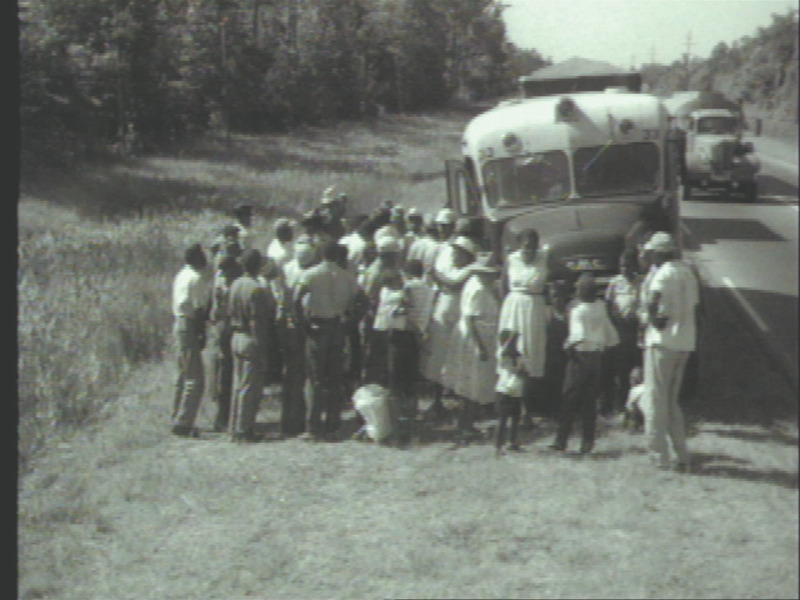 Although Signal employed hundreds of non-citizen workers, it required only the Indian workers to live on Signal property in cramped and guarded trailers that other Signal employees and Signal management called “the Reservation.” This segregated workforce created an environment in which non-Indian employees felt comfortable referring to the Indian workers as animals or by means of profane language. When the Indian workers requested better treatment, Signal fired those workers it perceived to be leaders of the effort to seek fair and dignified treatment. Norma and other women from Hidalgo, Mexico, took guestworker jobs harvesting tomatoes in Florida only to find they were locked up at night by their employers and not allowed to communicate with others. Given the acute vulnerability of guestworkers in general, one can extrapolate that women guestworkers are extraordinarily defenseless in the face of sexual harassment. Indeed, given the power imbalance between employers and their guestworkers, it is hard to imagine how a guestworker facing harassment on the job could alleviate her situation. Assuming that she, like most workers, had taken out substantial debt to obtain the job and given that she would not be permitted to work for any employer other than the offender, her options would be severely limited. It is no coincidence that these forms of discrimination exist in guestworker programs; many of the recruiting agencies tout the great benefits of hiring workers from one country or another. When employers are permitted to shop for workers as though they were ordering from a catalog, discrimination is the likely, perhaps inevitable result. When it comes to housing, guestworkers aren’t treated like “guests” of the United States at all. 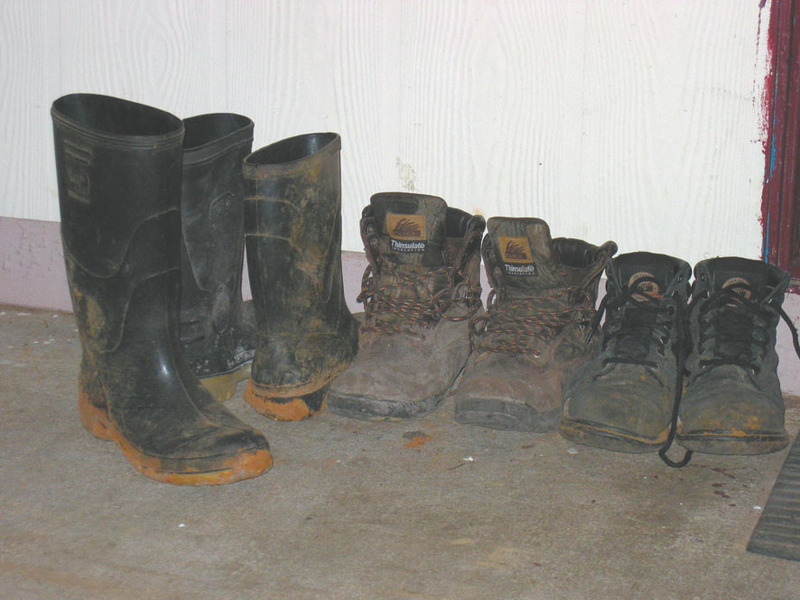 In fact, they are frequently forced to live in squalor. Many find themselves held captive by unscrupulous employers or labor brokers who confiscate their passports, restrict their movements, extort payments from them, and threaten them with arrest and deportation if they attempt to escape. H-2B workers have even less protection. There are no general federal regulations governing the conditions of labor camps or housing for H-2B workers. State and local laws also generally do not cover housing for H-2B workers. In practice, this means that H-2B workers are often provided housing that lacks even basic necessities, such as beds and cooking facilities. 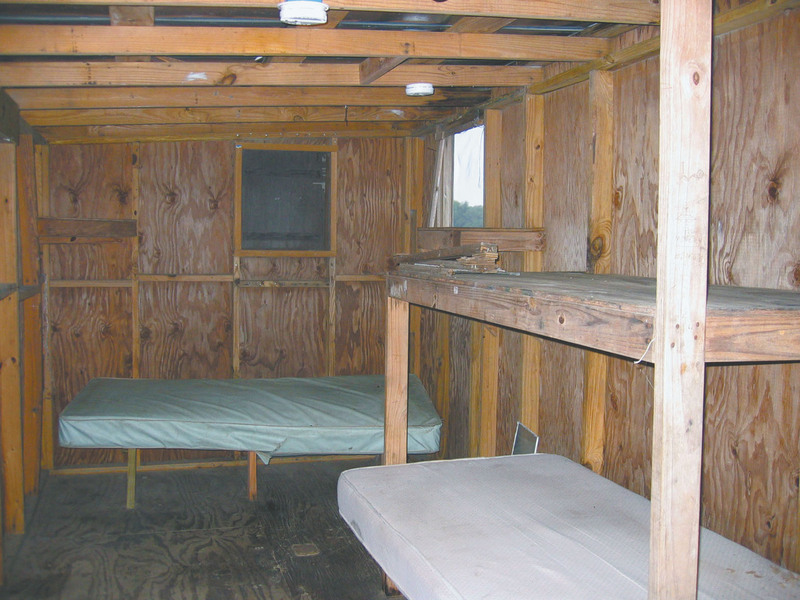 When H-2B workers arrived from India to Signal International’s shipyards in Louisiana and Texas, they were shocked to see that they would be housed in one-room containers shared by 24 men, each of whom had less than a six-foot-by-six-foot space for himself and his personal belongings. The noise of workers returning from their shifts deprived those not on duty of uninterrupted sleep, and the containers had such limited bathroom access that workers had to rise long before starting work in order to wait in line. As Signal’s special projects manager said in an email obtained during the discovery process in a lawsuit filed by the SPLC, “[W]e have serious, endemic plumbing problems in the trailers. … Behind the walls, under the sinks, in the drains — everything is wrong. Pipes can be pulled apart by hand. 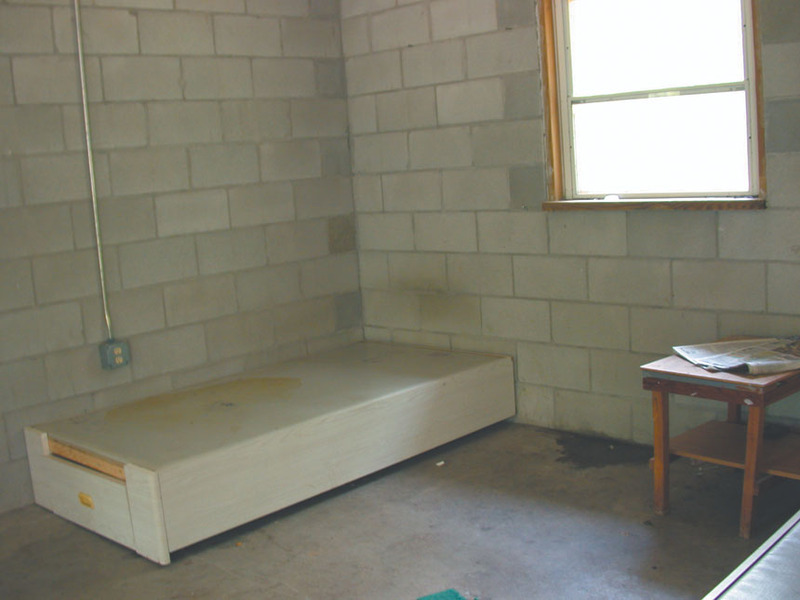 Showers leak behind the walls, saturating sheetrock, rugs and wooden subfloors with water. Light pressure on the walls leads to them crumbling in certain places, and the wood will soon begin rotting as well.” The same manager described the camp in a journal as “a bacterial breeding ground” due to the stagnant water. For these cramped and dilapidated accommodations — and for food from a mess operation one Signal employee said would be shut down if the state health department ever inspected it — $1,050 was deducted each month from each worker’s paycheck. Signal deducted the cost of these facilities even if workers found another place to stay. In an email, Signal’s chief financial officer referred to the labor camps as “profit centers” for the company. 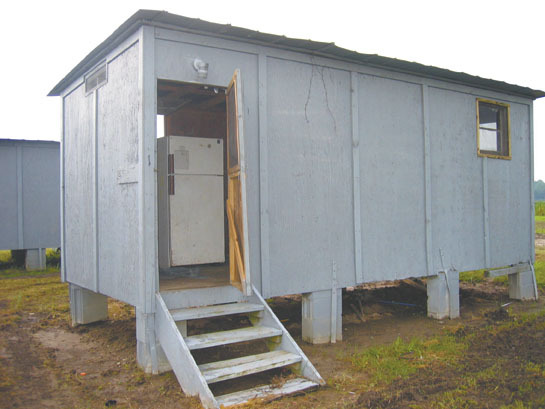 Guestworkers who had jobs picking tomatoes in South Carolina lived in this “house” in 2005. In addition, housing for both H-2A and H-2B workers is often located in extremely rural locations, increasing workers’ social isolation and dependence on their employer. In most instances, workers lack both vehicles and access to public transportation. As a result, they are totally dependent upon their employers for transportation to work and to places like grocery stores and banks. Some employers charge exorbitant fees for rides to the grocery store. Much of the housing provided to workers lacks telephone service, isolating workers even further. In some instances, employers have even forbidden workers from having visitors.93 These conditions not only create daily hardships for guestworkers, they increase employers’ already formidable power over them. 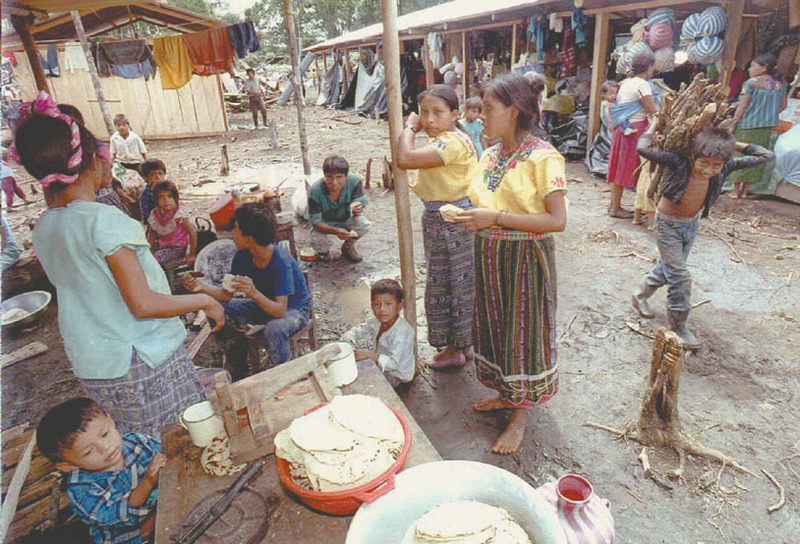 The living situation of Guatemalan workers recruited to work in the southeastern United States in 2012 exemplifies how employers seek to further isolate and control their workers. Approximately 85 workers were housed in a crowded, isolated house on their employer’s property. “I slept in a room with about 16 other workers,” said one worker. “There was no air conditioning in the house, and it got really hot and buggy in the summer months. The tap water smelled so foul that we couldn’t drink it. We had to spend some of the little money we made each day on bottled water.” The workers were forced to rely on their employers for transportation to the grocery store because the house was located far from the nearest town or commercial center. To compound the workers’ isolation, their employer discouraged them from receiving visitors or from leaving the farm on their own. “After a few of the workers were picked up by family members and fled the farm, the employer got really angry and warned us that we couldn’t have any visitors,” one worker said. “He told us that he would call the police or Immigration if we did.” The employer kept close watch on the cars that approached the house and made sure that the gate blocking the road leading to the house was locked every night. The documentary “Harvest of Shame,” broadcast by CBS in 1960, called America’s attention to the callousness with which U.S. agricultural giants treated migrant farmworkers. A group of about 20 guestworkers from Thailand faced a similarly desperate situation. According to a lawsuit filed on their behalf by Legal Aid of North Carolina in February 2007, they each paid $11,000 to obtain agricultural jobs. Recruiters told them, falsely, that they would have employment for three years earning $8.24 an hour.94 When they arrived in August 2005, a man acting as a labor broker confiscated their passports, visas and return airplane tickets. 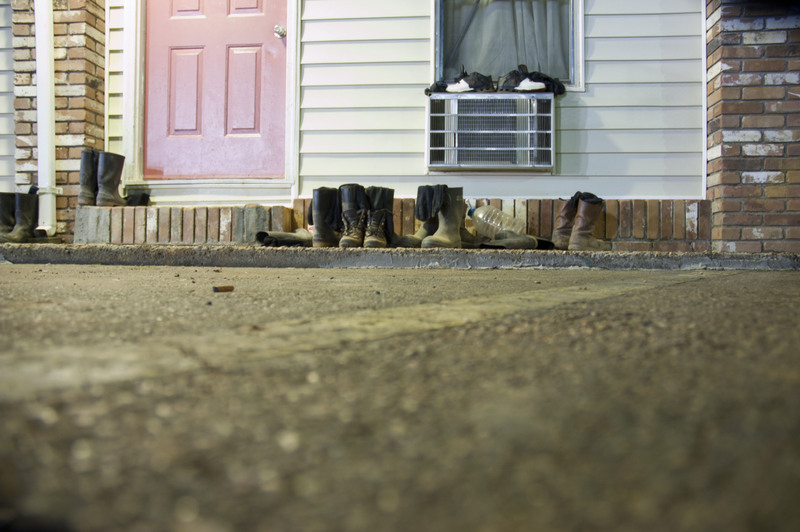 Initially, they were housed in a local hotel, three men to a room. After a few weeks, the number of rooms was reduced, so that they were living five to a room. Eventually, they were moved to buildings behind the house of the labor broker, where they shared one bath. Some workers had to sleep on the floor. After a few more weeks, their employer began to reduce their food rations, leaving them hungry. Throughout their stay, the Thai workers were told they would be arrested and deported if they escaped. On several occasions, according to the lawsuit, the labor broker and his son displayed guns to the workers. Less than two months after their arrival, some of the workers were taken to New Orleans, where they were put to work demolishing the interiors of hotels and restaurants ruined by the flooding from Hurricane Katrina. 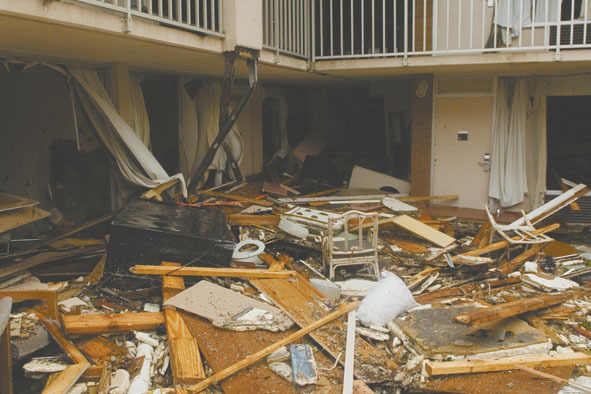 They lived in several storm-damaged hotels during their stay, including one that had no electricity or hot water and was filled with debris and mold. It had no potable water, so the workers were forced to use contaminated water for cooking. During their stay in New Orleans, the workers were guarded by a man with a gun. They also were not paid for the work, so they had no money to buy food. Some were eventually taken back to North Carolina. The men who remained in New Orleans managed to escape with the help of local people who learned of their plight. The other workers also escaped after their return trip. These are not isolated cases. Time and again, advocates for guestworkers hear these stories. 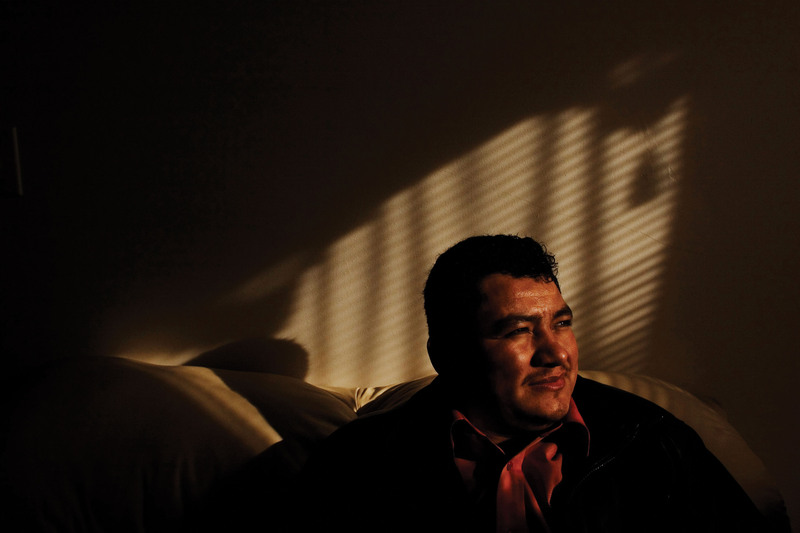 Guestworkers often face insurmountable barriers to enforcing their legal rights. Even when workers are able to vindicate their rights, they face significant obstacles to meaningful recovery. In practice, this means that very few guestworkers are actually compensated for their losses, and many unscrupulous employers are allowed to continue to import guestworkers with impunity. 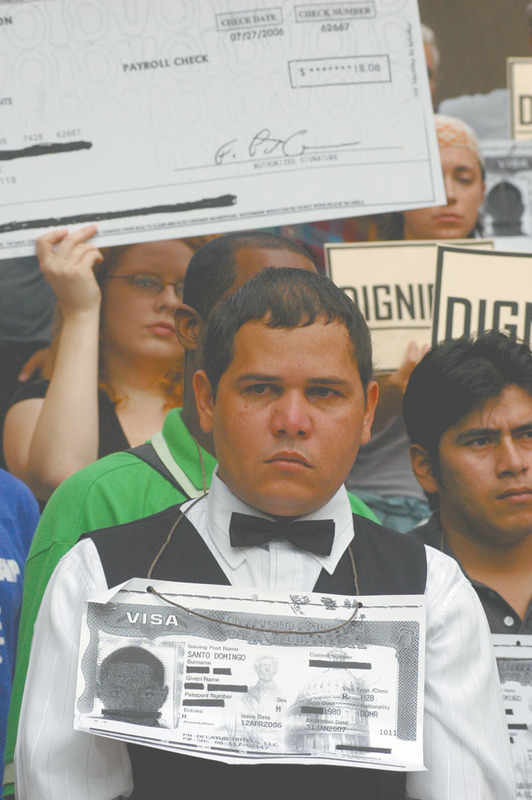 The rights of guestworkers can be enforced in two ways: through actions taken by government agencies, mainly the Department of Labor (DOL), and through lawsuits filed by private attorneys, federally funded Legal Services (H-2A workers and H-2B forestry workers only) or non-profit legal organizations like the Southern Poverty Law Center (SPLC). Workers face high hurdles to obtaining justice through either method. As a result, far too many are lured to the United States by false promises only to find that they have no redress for their injuries. The DOL’s monitoring of H-2B employers appears to be even less rigorous. According to a comprehensive list of DOL compliance actions, the Department cited only 27 H-2B employers for violations between 2007 and 2012.99 Given that the DOL certifies thousands of employers for H-2B workers each year, this indicates that the DOL is not likely conducting many investigations into program abuse. The SPLC’s extensive experience in the field also suggests that this is the case. Guestworkers, like these tree planters, have virtually no way to enforce their rights in the face of widespread abuse. Additionally, as a practical matter, the nature of the guestworker program makes the DOL enforcement of some provisions unrealistic. Regulations, for instance, require employers to provide H-2A workers with a minimum of three-fourths of the hours specified in the contract and to pay for their transportation home. But there is currently no mechanism, such as a certification by the employer, that allows the DOL to effectively monitor whether employers comply with these requirements. After the contract period expires, the worker must leave the country and is therefore not in a good position to take action to protect his rights. The SPLC has also witnessed the DOL’s failure to sanction law-breaking employers. Even though a large class of H-2A workers represented by the SPLC sued their employer, Candy Brand, alleging egregious wage violations in 2007, and ultimately settled those claims for $1.5 million, the DOL continues to certify the company (now operating under the name Clanton Farms, LLC) for H-2A workers every year. SPLC clients who still work at the farm report that the company continues to violate wage and hour laws today. Because of the lack of government enforcement, it generally falls to the workers to take action to protect themselves from abuses. Unfortunately, filing lawsuits against abusive employers is not a realistic option in most cases. Even if guestworkers know their rights — and most do not — it is rare that workers will have access to an affordable, private attorney who will take their cases. Representation of migrant workers presents unique challenges, including language barriers and the fact that most workers will have to return to their country during the litigation, that tend to dissuade many private attorneys from filing guestworker cases. Access to federally funded legal services presents other obstacles to guestworker representation. 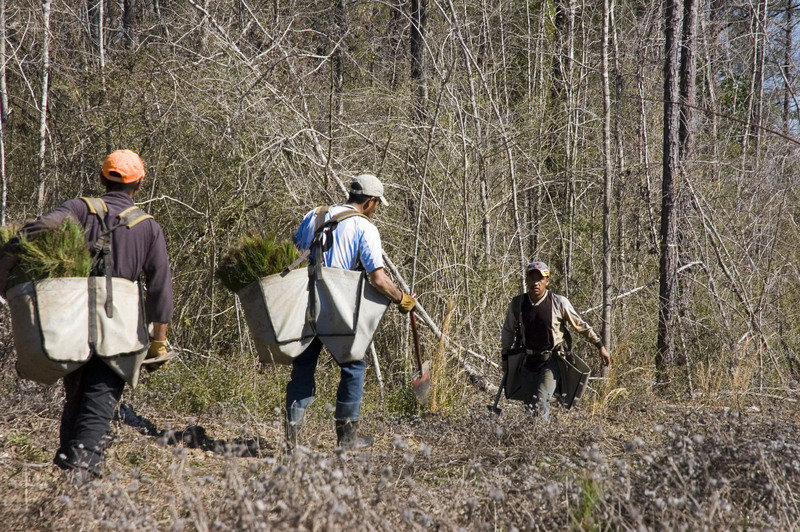 While H-2A workers and H-2B forestry workers are eligible for representation by federally funded Legal Services lawyers, these lawyers are prohibited from handling class action lawsuits. Given workers’ enormous fears of retaliation and blacklisting, any system that relies on workers asserting their own legal rights is unlikely to bring about systemic change. Having access to class action litigation would at least permit cases to be brought by one or two workers brave enough to challenge the system. For H-2B workers, the situation is perhaps even more dire. Although they are in the U.S. legally and are financially eligible, the vast majority are ineligible for federally funded legal services because of their visa status. As a result, most H-2B workers have no access to lawyers or information about their legal rights at all. Because most do not speak English and are extremely isolated, usually both geographically and socially, it is unrealistic to expect that they would be able to take action to enforce their own legal rights. Moreover, many of these workers have few rights to enforce. This fear may persist even after workers’ legal claims have settled. 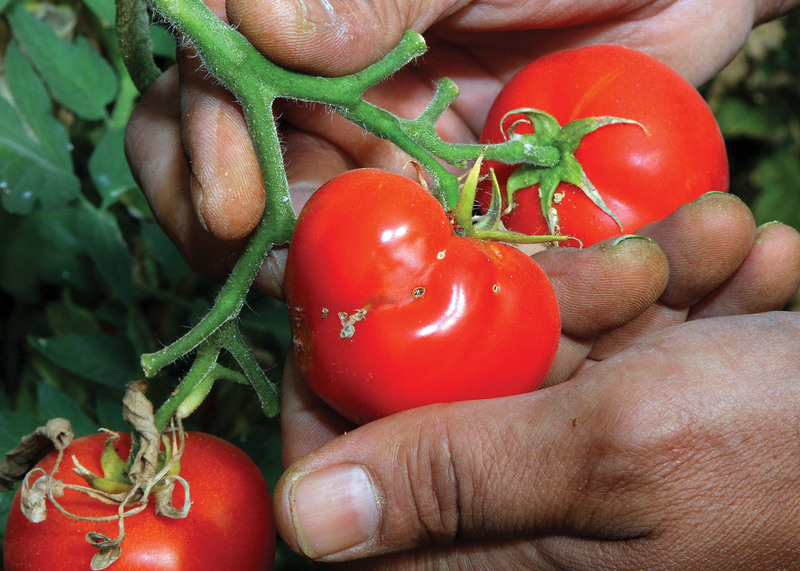 The extent of H-2A workers’ fear of blacklisting was made clear to the SPLC during a 2012 trip to Mexico to assist tomato workers in claiming their settlement payments after these workers successfully sued their employer. Even though the lawsuit had been settled, workers were very reluctant to accept the money that was owed to them by the company for fear that the recruiters or the company would find out and retaliate against them by denying them the ability to get visas in the future. As these examples demonstrate, the structure of the H-2 guestworker program is inherently erosive to workers’ rights: When a worker’s livelihood — and immigration status for those in the United States — is tied to a single employer, workers will always face nearly insurmountable barriers to enforcing their legal rights. Guestworkers are far too often employed by undercapitalized employers and contractors who cheat them out of wages and then claim an inability to pay what courts have ordered is lawfully owed. While the H-2A regulations require farm labor contractors seeking H-2A workers to post a bond, neither of the H-2 programs require employers to post security or supply any proof of solvency before being certified for guestworkers. This lack of oversight has devastating results for guestworkers who take action against law-breaking employers. 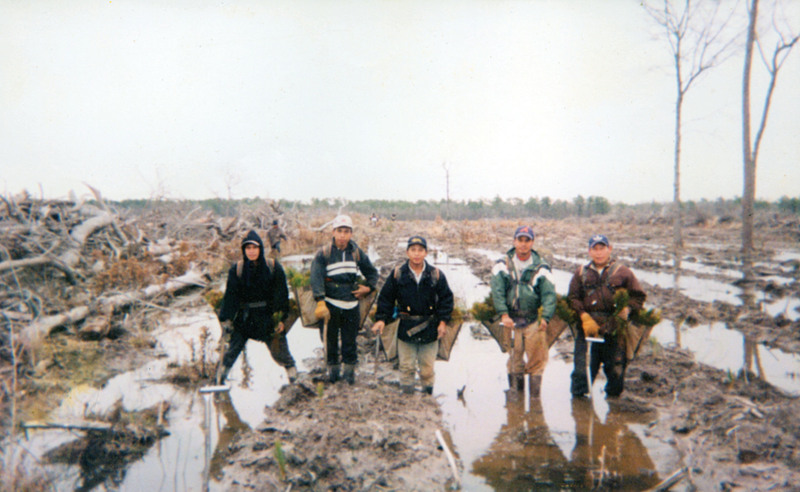 Perhaps the starkest example of this was the class action lawsuit brought by H-2B guestworkers from Guatemala and Mexico who worked for forestry contractor Eller and Sons Trees, Inc. Until 2009, Eller and Sons was one of the largest forestry contractors in the United States and one of the largest employers of H-2B guestworkers, importing more than 750 workers per year. In 2008, the SPLC and its co-counsel won a comprehensive legal victory against the company. A Georgia federal court ruled that Eller and Sons and its owner, Jerry Eller, had engaged in the massive underpayment of a class of approximately 4,000 guestworkers over a 10-year period. The company and Eller stipulated that the damages owed to the class members based on the court’s rulings exceeded $11 million. However, rather than come into compliance with the law and pay workers the back wages they were owed, Eller simply stopped operating the company and filed for personal bankruptcy protection. The corporation had almost no capital investments and Eller had few personal assets available to creditors. Ultimately, the H-2B guestworkers — who are still owed more than $11 million in unpaid wages — will see very little recovery as a result of the bankruptcy proceedings. Eller and Sons, like other H-2B employers, was never required to post any type of bond or security that would have prevented the guestworkers from suffering this massive wage abuse without any recourse. As this report shows, the H-2 guestworker program is fundamentally flawed. Because guestworkers are tied to a single employer and have little or no ability to enforce their rights, they are routinely exploited. The guestworker program also undercuts the interests of U.S. workers. It should be abolished. It should not be used as a model for immigration reform. If this program is permitted to continue at all, it should be totally revamped to address the vast disparity in power between guestworkers and their employers. Congress should limit employer use of guestworker programs, particularly during periods of high unemployment. As long as guestworkers are available to employers regardless of the stability of the U.S. economy, employers will have a disincentive to hire U.S. workers. Guestworkers’ ability to enter the United States should not be dependent on a particular employer. In addition, workers should be allowed to change employers without sacrificing their visa status, like any other employee can. The current restriction denies guestworkers the most fundamental protection of a free labor market and is at the heart of many abuses they face. Congress should provide a process to allow guestworkers to gain permanent residency, with their families, over time. Large-scale, long-term guestworker programs that treat workers as short-term commodities are inconsistent with our society’s core values of democracy and fairness. Congress should expressly authorize the Department of Labor to oversee and regulate all guestworker programs, and should expressly authorize the Department to issue regulations with the force of law to conduct such oversight. Congress should regulate the recruitment of foreign workers. There is virtually no oversight of international recruitment activities, and the result is rampant fraud and abuse. To combat those abuses, Congress should create a federal agency or commission to monitor international recruiters and the recruitment of foreign workers. Congress also should require that employers bear all the costs of recruiting and transporting guestworkers to this country, including workers’ passport expenses. Congress should legislatively override the holding in Castellanos-Contreras v. Decatur Hotels, LLC, (5th Circuit), which states that employers are not responsible for the travel and visa expenses of many of their H-2B workers. Requiring guestworkers to pay these fees encourages the over-recruitment of guestworkers and puts them in a position of debt peonage that leads to abuse. Entities acting as labor brokers for employers that actually use the guestworkers should not be allowed to obtain certification from the Department of Labor to bring them in. Allowing these middlemen to obtain certification shields the true employer from responsibility for the mistreatment of guestworkers. Congress should make the employers who ultimately benefit from the workers’ labor strictly liable for any abuses during the recruitment process, regardless of whether the recruiter is an agent of the employer. Congress should require employers to pay at least the “adverse effect wage rate” in all guestworker programs to protect against the downward pressure on wages. Guestworker programs should not be a mechanism to drive wages down to the minimum wage. Congress should eliminate the barriers that prevent guestworkers from receiving workers’ compensation benefits. Workers currently must navigate a bewildering state-by-state system that effectively blocks many injured workers from obtaining benefits. Guestworkers should be better protected from discrimination on the same terms as workers hired in the United States. Permitting employers to “shop” for workers with certain characteristics outside of the United States is offensive to our system of justice and values of nondiscrimination. Congress should require that all employers report to the Department of Labor, at the conclusion of a guestworker’s term of employment and under penalty of perjury, on their compliance with the terms of the law and the guestworker’s contract. There currently is no mechanism that allows the government to ensure that employers comply with guestworker contracts. Employers using guestworkers should be required to post a bond that is at least sufficient in value to cover the workers’ legal wages. A system should be created to permit workers to make claims against the bond. Guestworkers, who must return to their country when their visas expire, typically have no way of recovering earned wages that are not paid by employers. There should be a massive increase in funding for federal agency enforcement of guestworker and U.S. worker protections. Guestworkers are extremely vulnerable workers, but there is scant government enforcement of their rights. U.S. workers are being unlawfully locked out of available jobs with little intervention or oversight from the Department of Labor. The Department of Labor should be authorized to enforce the terms in all guestworker contracts and job orders. The Department of Labor should create a more rigorous and streamlined process to deny guestworker applications from employers that have violated the rights of guestworkers. Employers who abuse guestworkers continue to be granted certification by the Department to bring in new workers. Congress should make all guestworkers eligible for federally funded legal services. H-2B workers, except those in forestry occupations, are currently not eligible for legal aid services. Congress also should eliminate the “super restriction” that prohibits Legal Services Corporation-funded entities from using even their non-federal money to represent many guestworkers. Congress should lift the restriction on federally funded legal services that prohibits class action representation. Class actions are the most effective legal tool to change abusive employment practices. They are particularly important as a tool in guestworker cases, where workers are fearful of retaliation if they assert their legal rights. Congress should provide a federal cause of action allowing all guestworkers to enforce their contracts. While these reforms will go far toward protecting guestworkers from exploitation, it is clear that guestworker programs are simply too flawed to benefit from small regulatory fixes. In reality, these programs are beyond repair. We are a nation of immigrants, not a nation of temporary workers. Temporary workers who come to the United States make a valuable contribution to our nation. They should be incorporated into our society as full members so that they too are entitled to the same benefits, rights, and protections enjoyed by all workers in the United States. The time has come for Congress to abolish — not expand — our shamefully abusive guestworker system. The Southern Poverty Law Center would like to thank the many people who contributed to this report, in particular the guestworkers who told their stories. Organizations that provided valuable assistance include: the Farmworker Unit of Legal Aid of North Carolina, the North Carolina Justice Center, Florida Legal Services, the Migrant Farmworker Justice Project and Southern Migrant Legal Services.